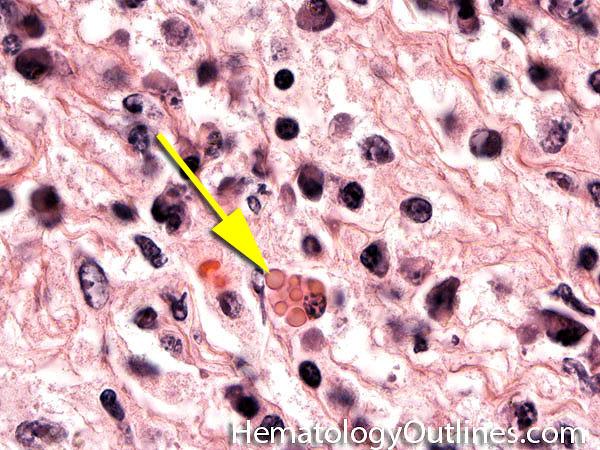 CD4 A type of CD which is normally expressed in a subset of T-cells (Helper T-cells). 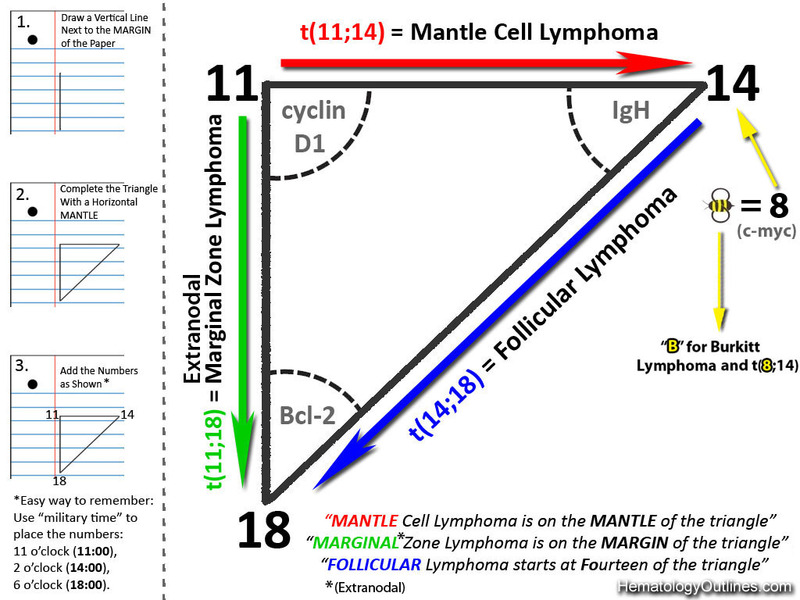 Recall the CD_Mnemonic. 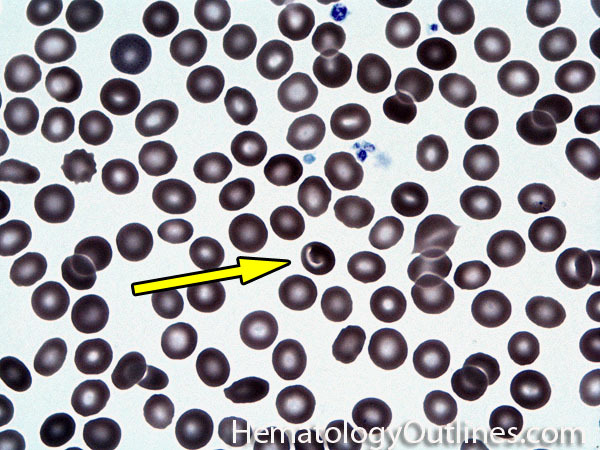 This CD is also expressed in lower levels on monocytes. 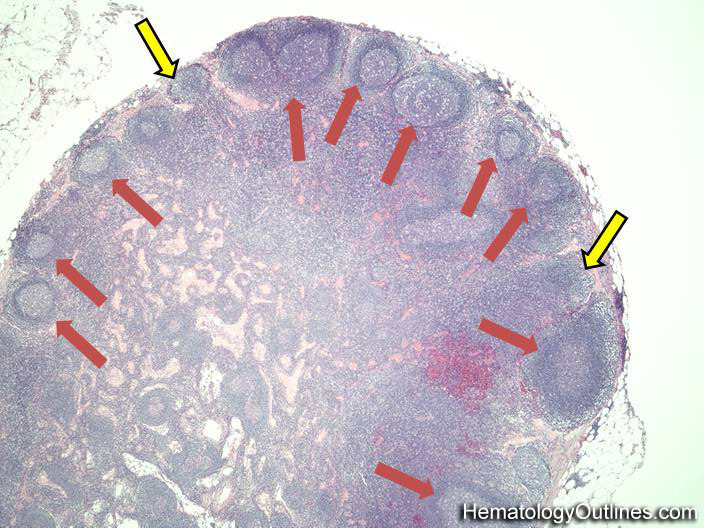 Also recall the rule of 8 mnemonic: CD4 associates with MCH Class II (4x2 =8). 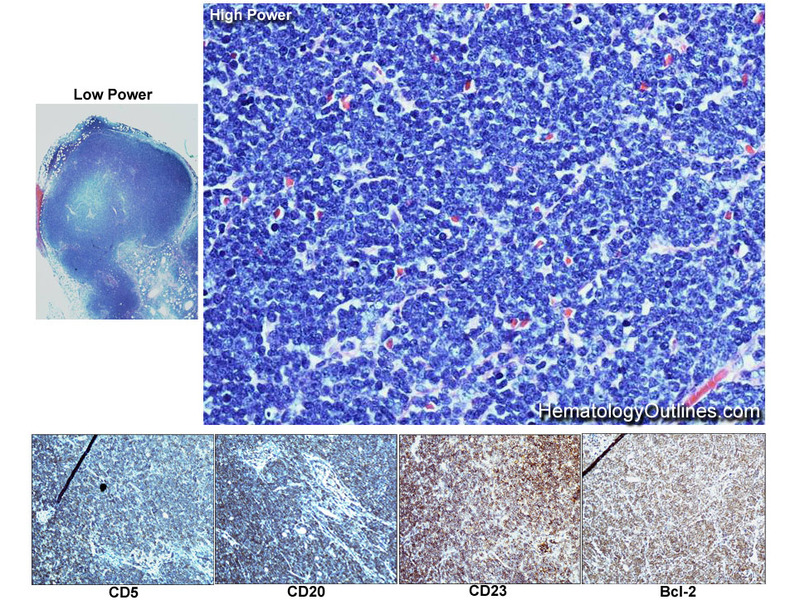 While CD8 associates with MHC Class I (8x1=8). 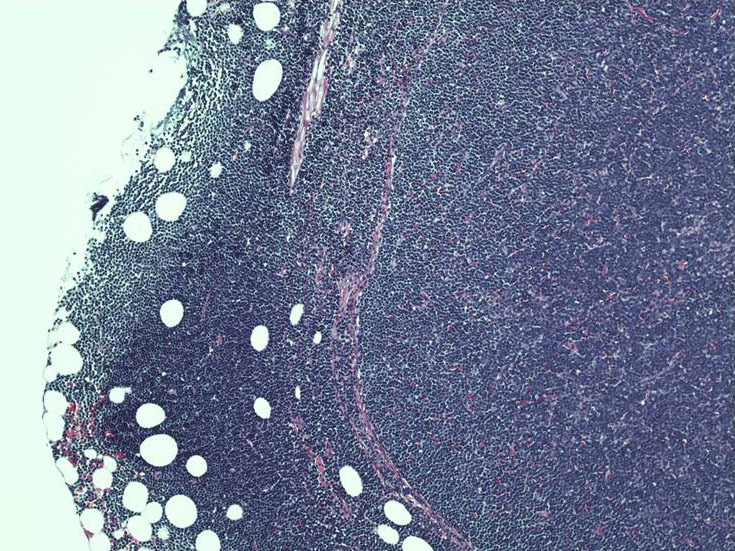 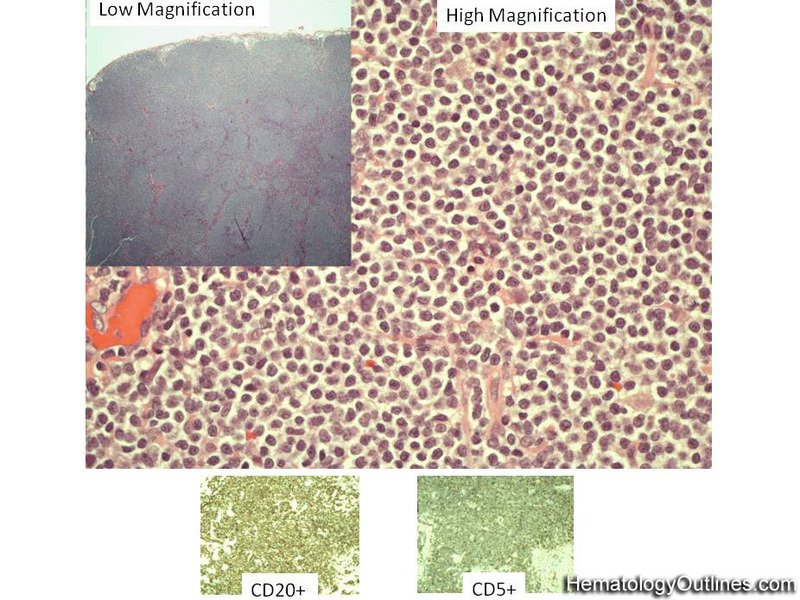 CD20 A type of CD which is normally expressed in most mature B-cells. 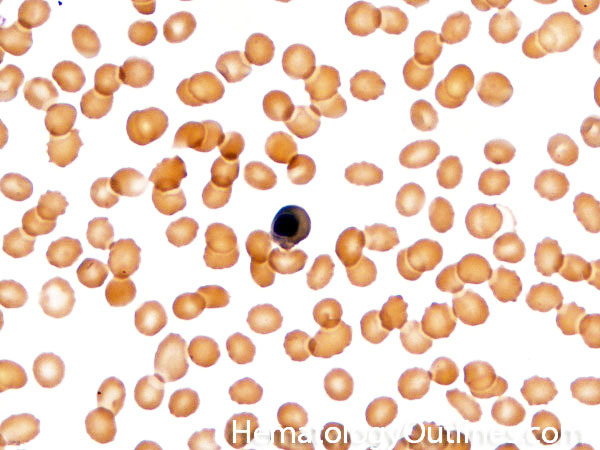 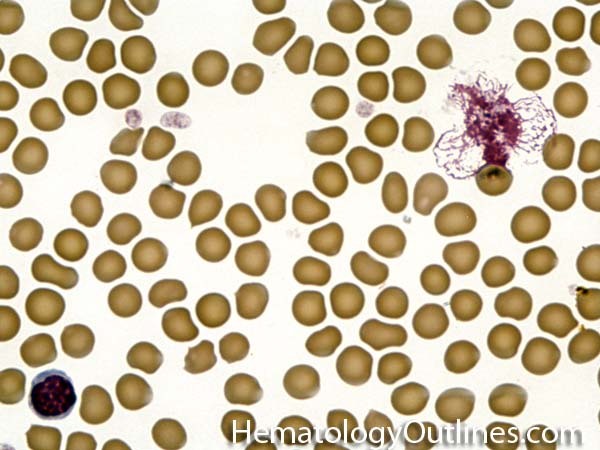 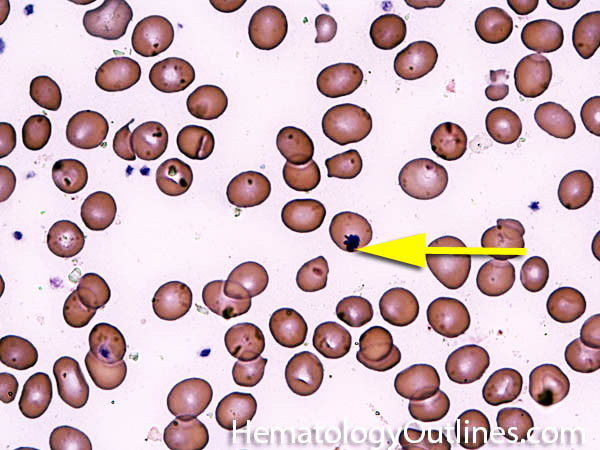 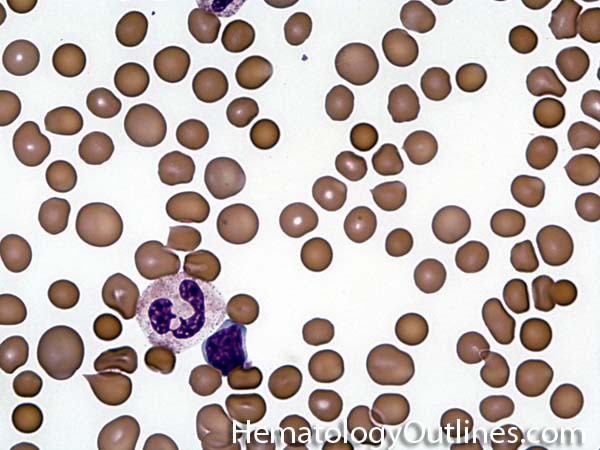 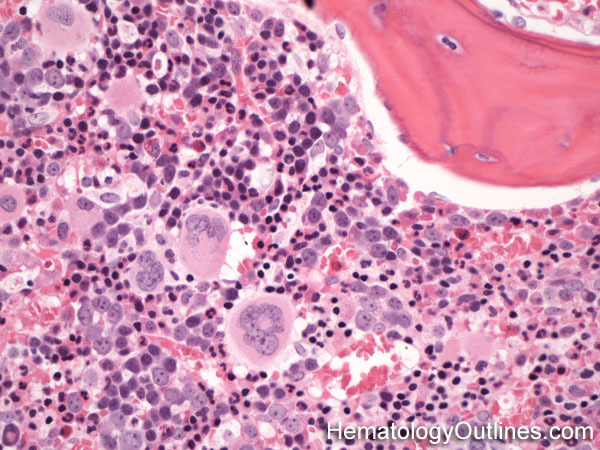 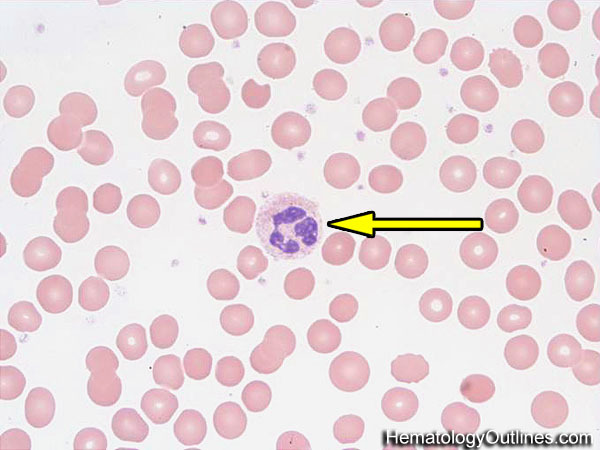 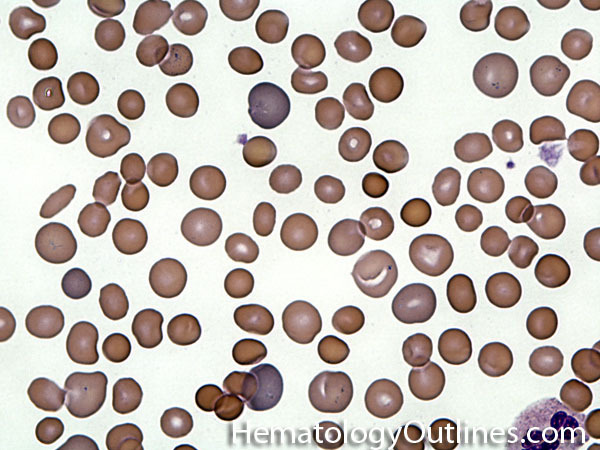 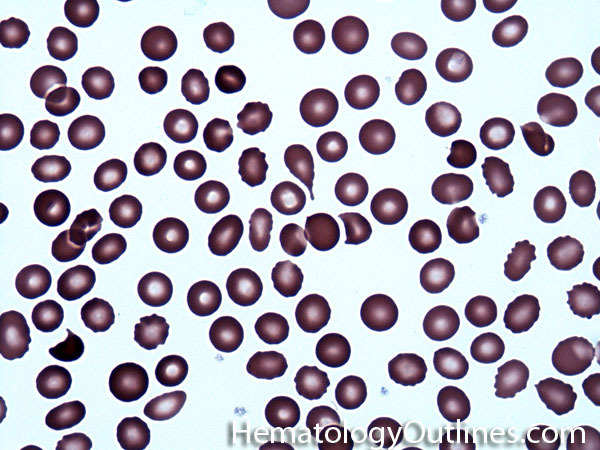 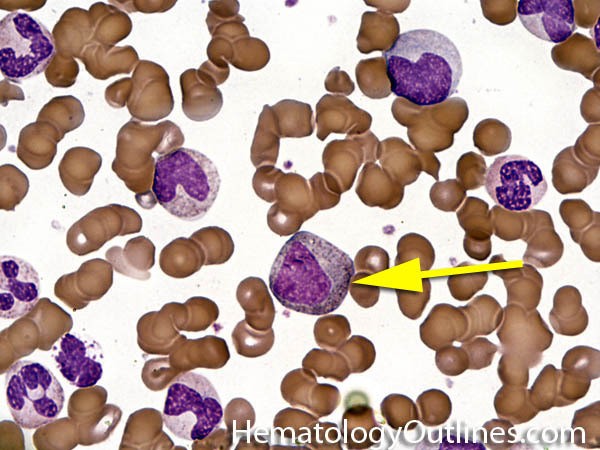 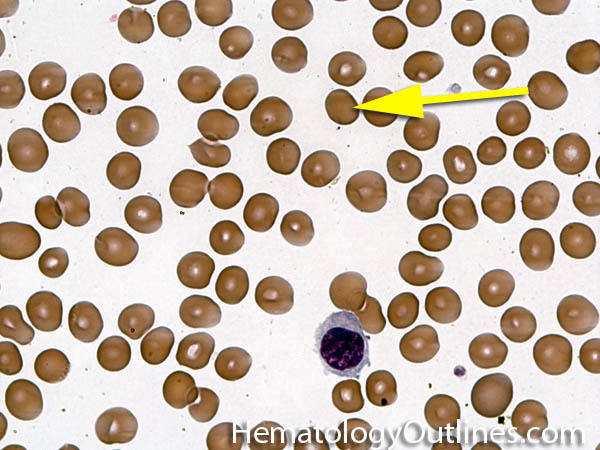 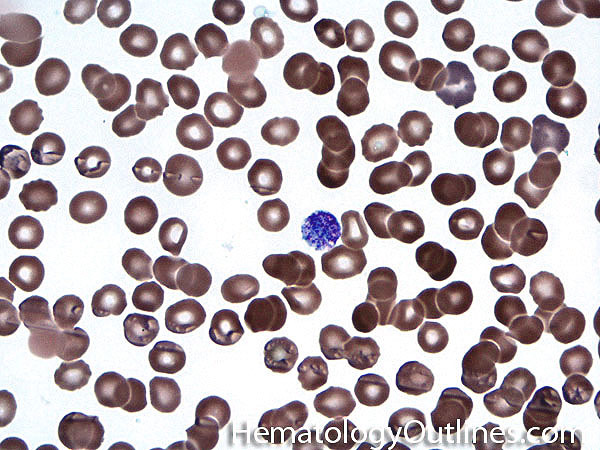 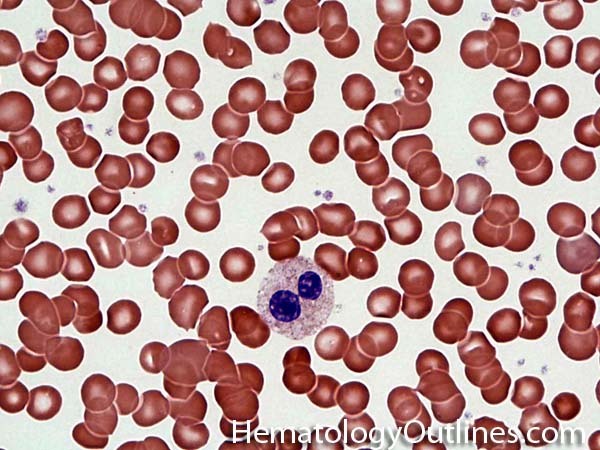 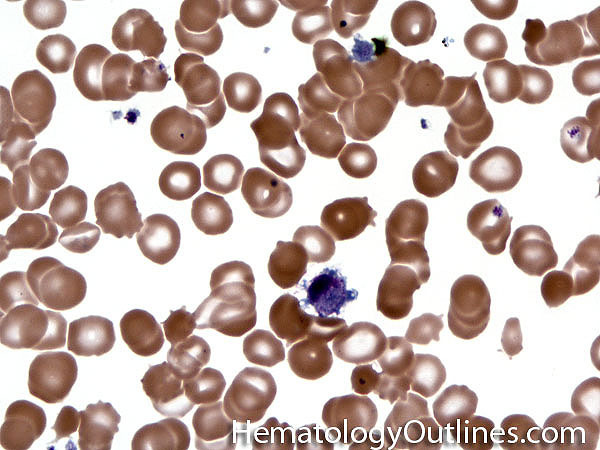 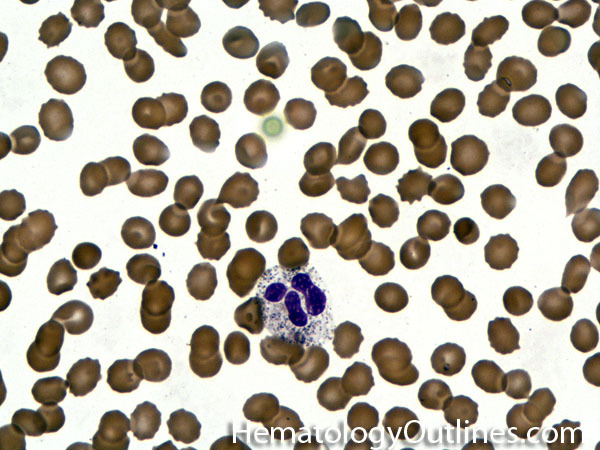 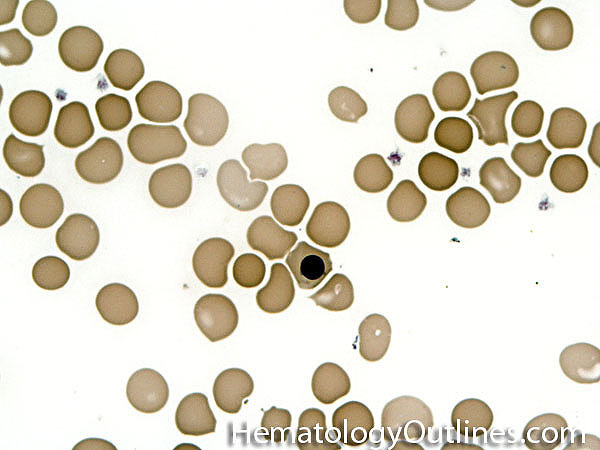 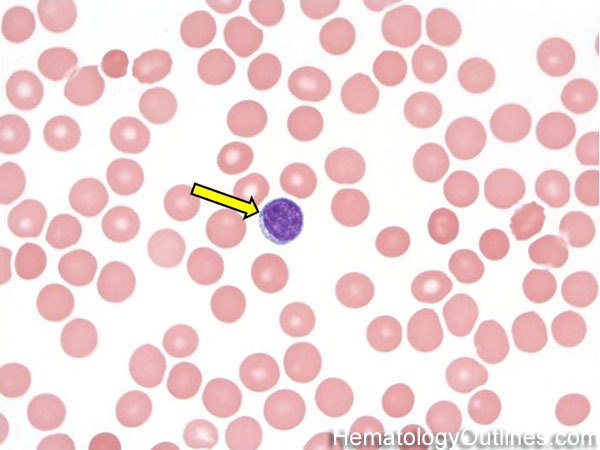 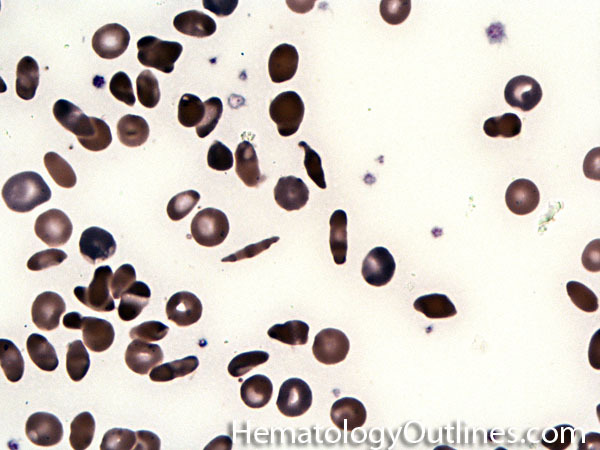 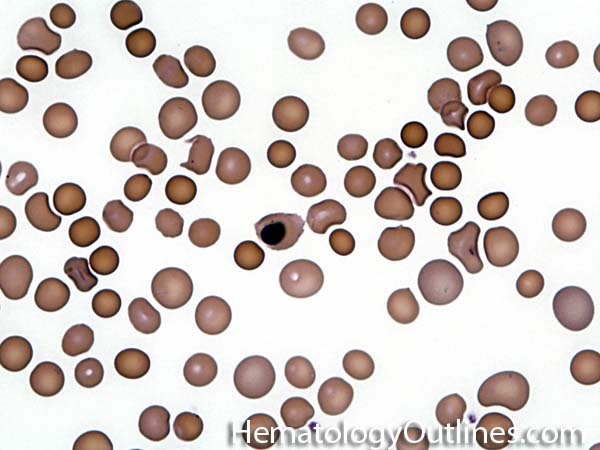 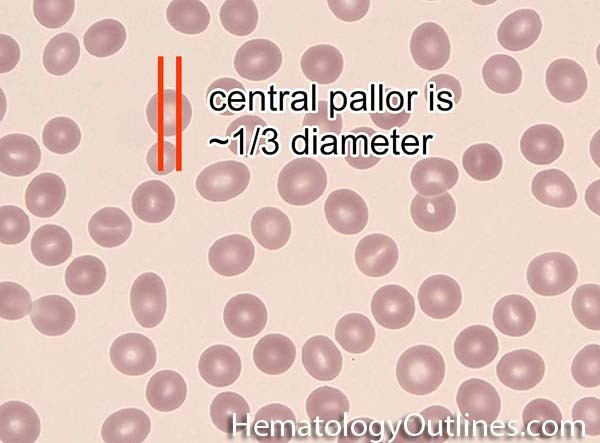 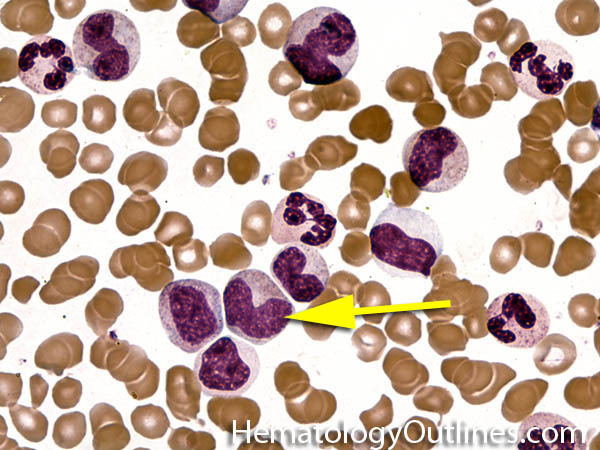 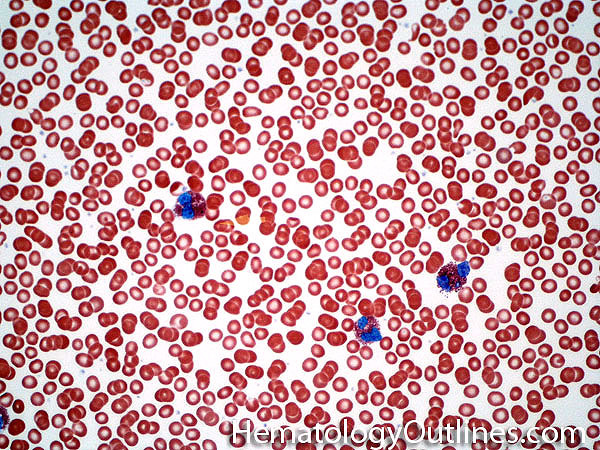 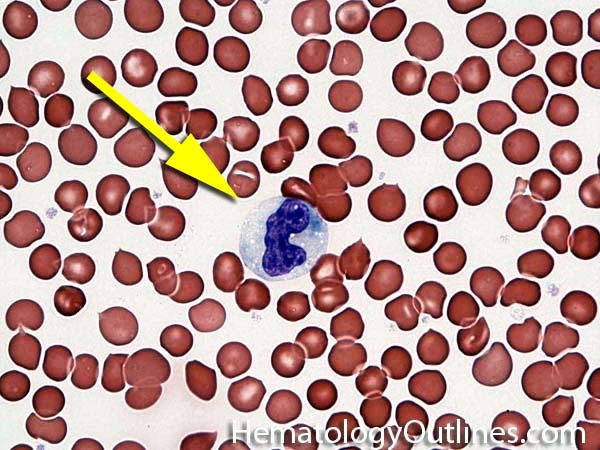 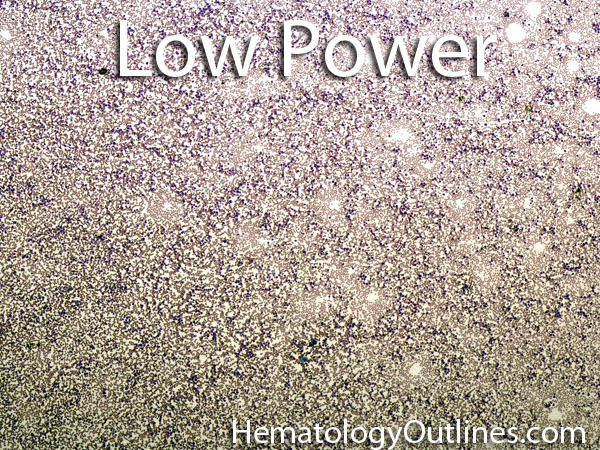 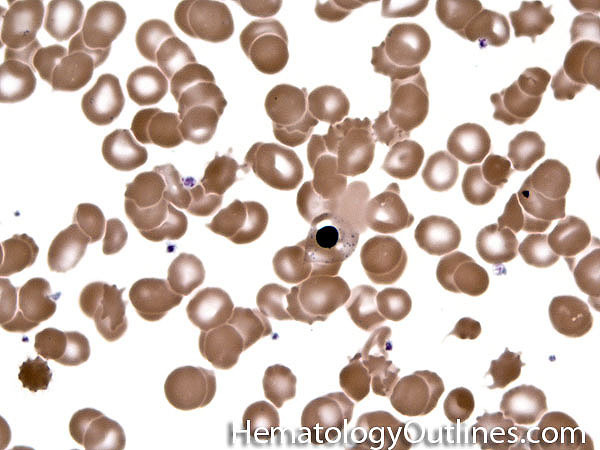 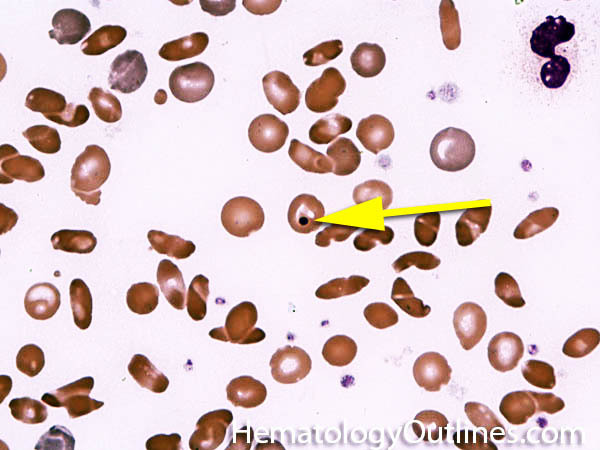 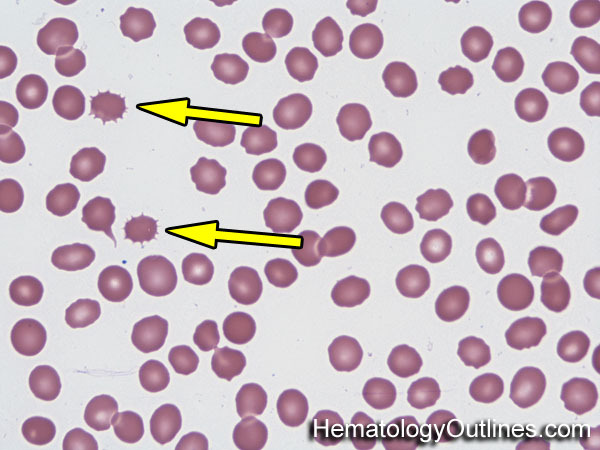 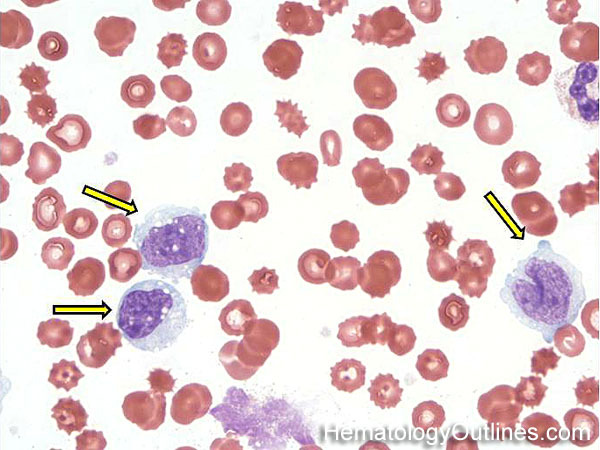 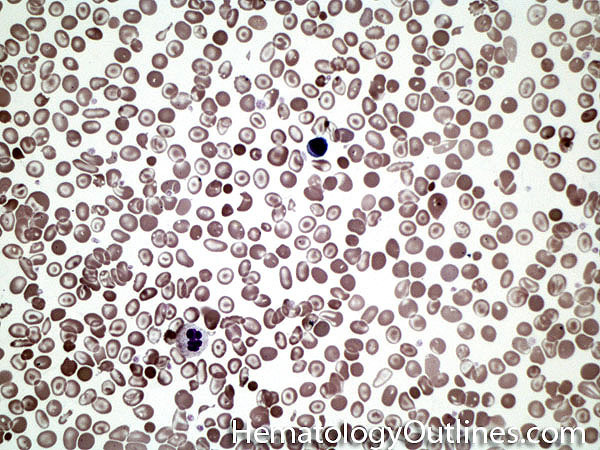 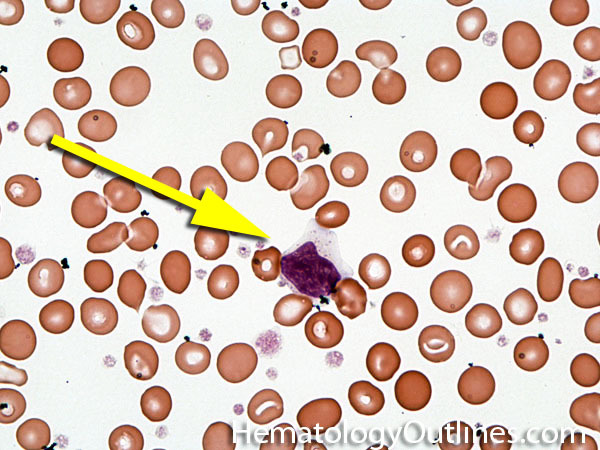 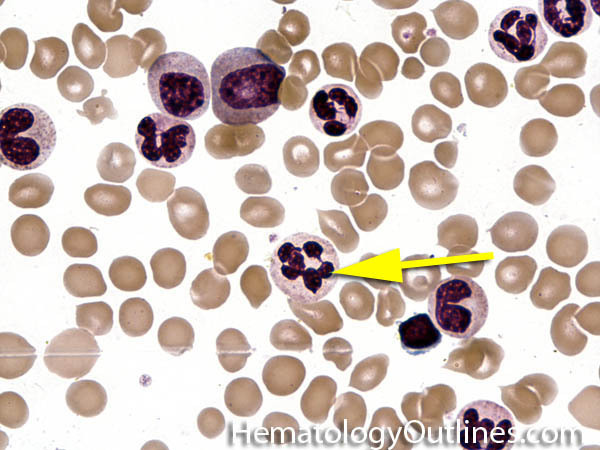 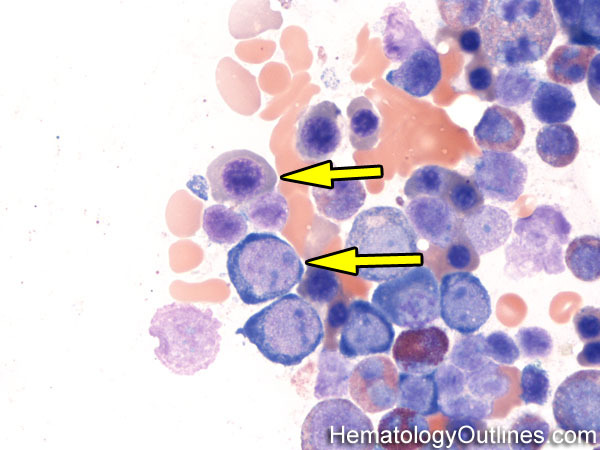 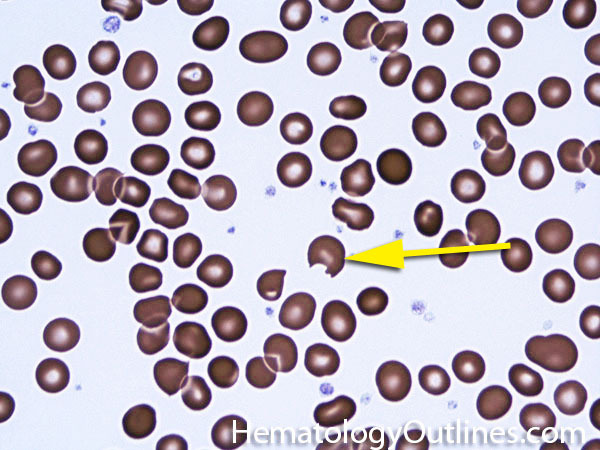 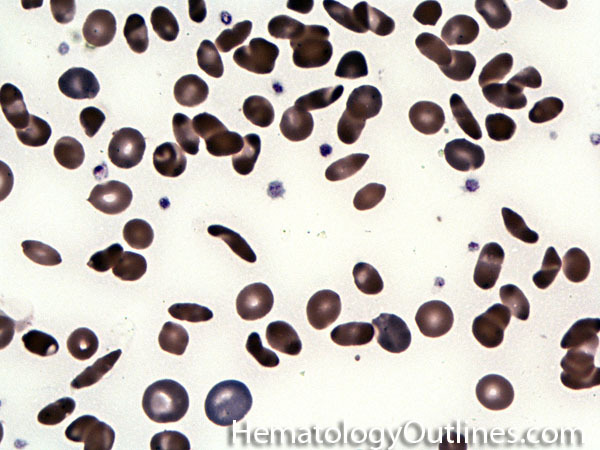 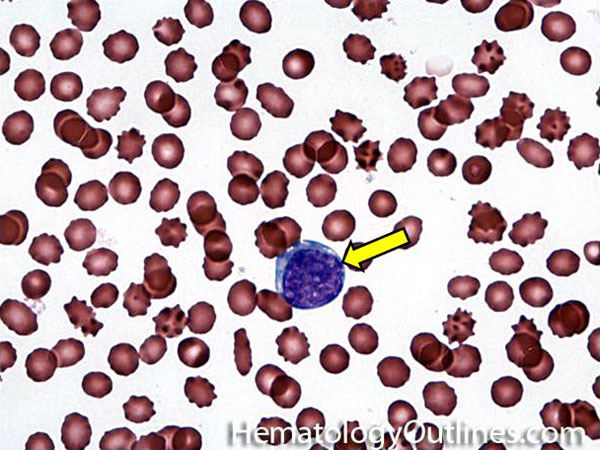 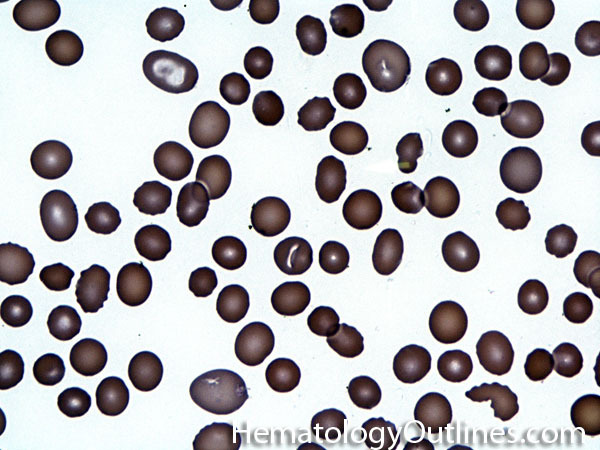 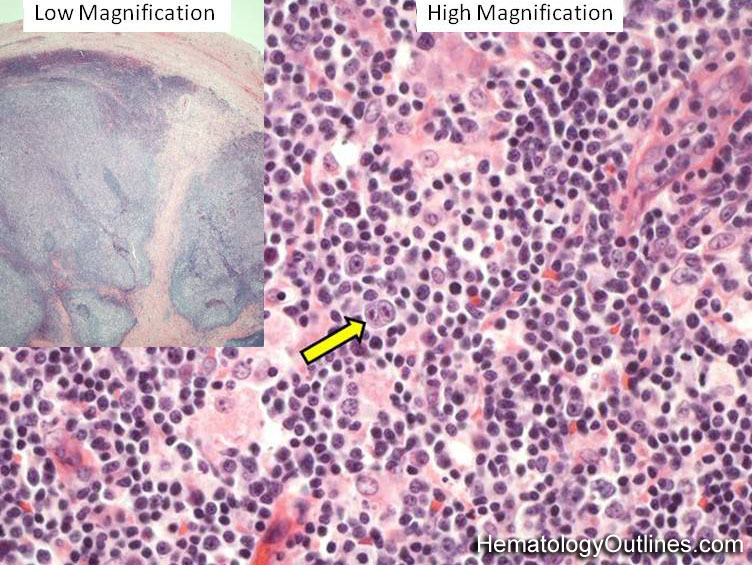 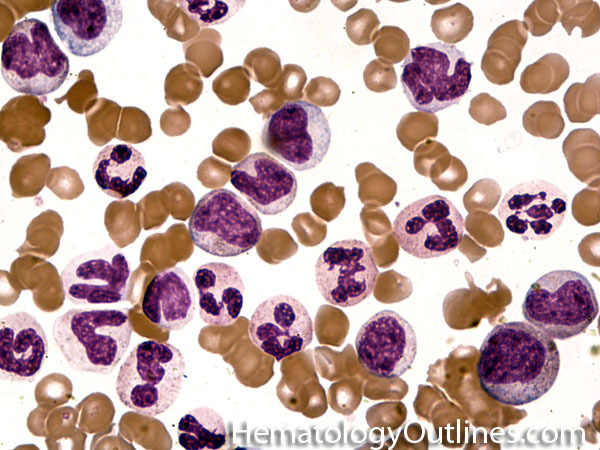 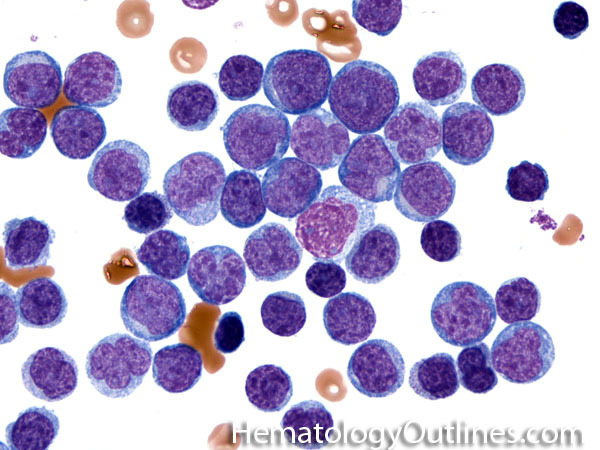 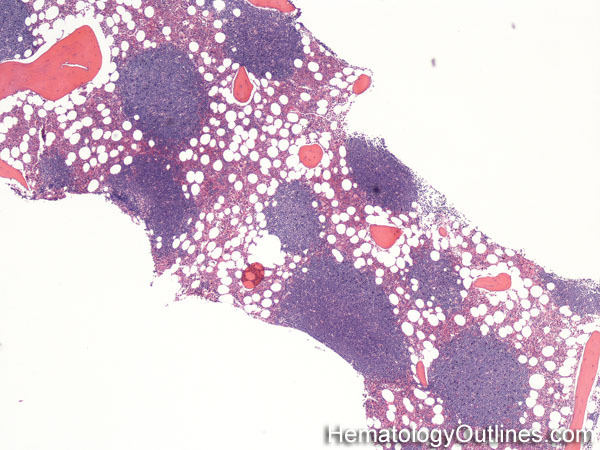 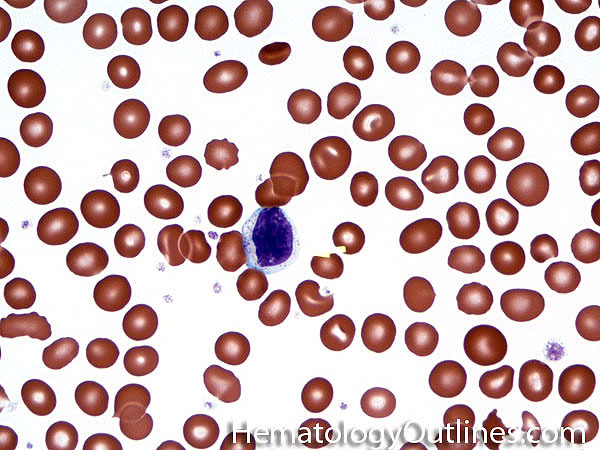 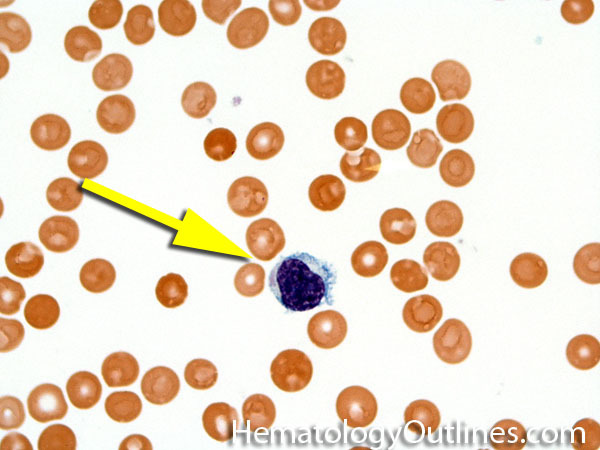 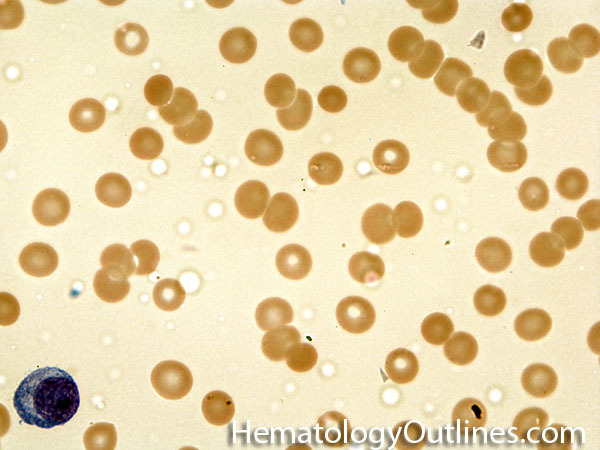 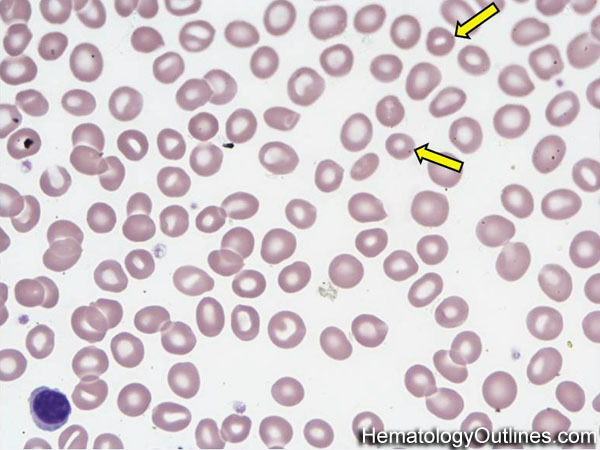 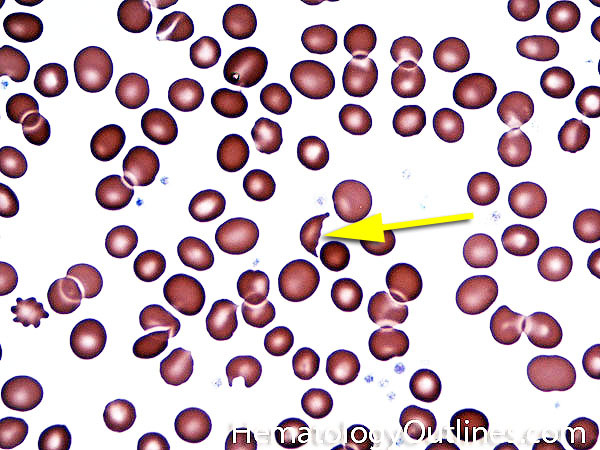 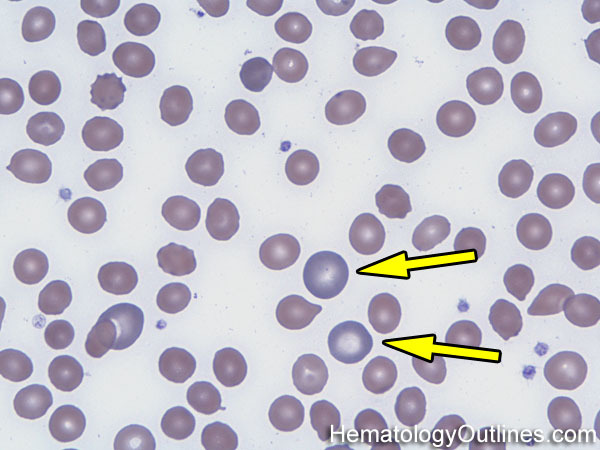 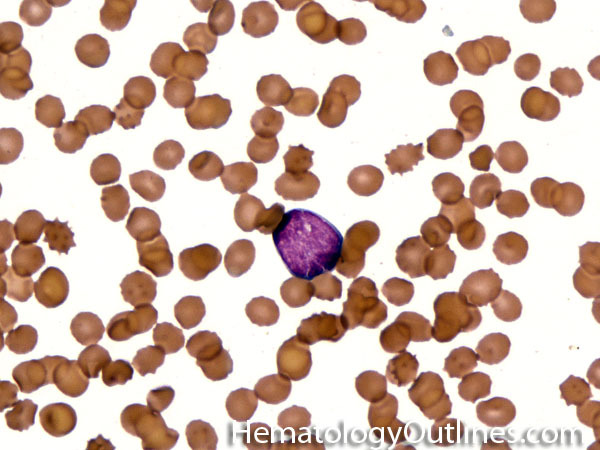 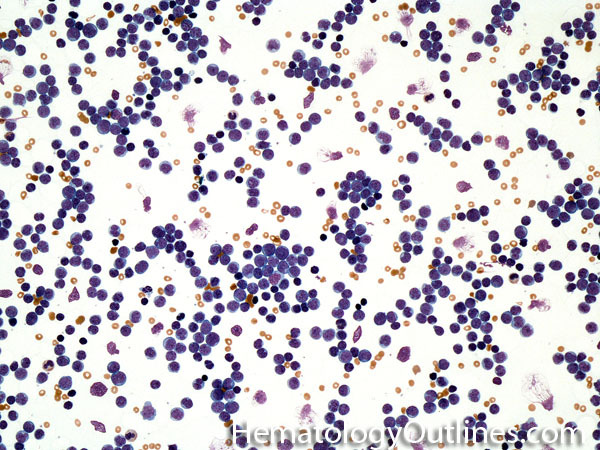 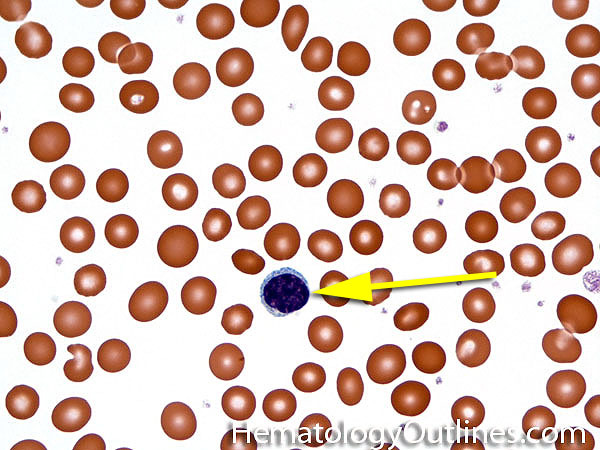 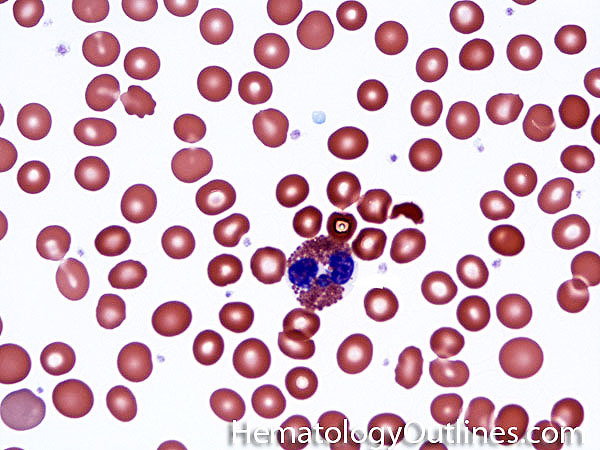 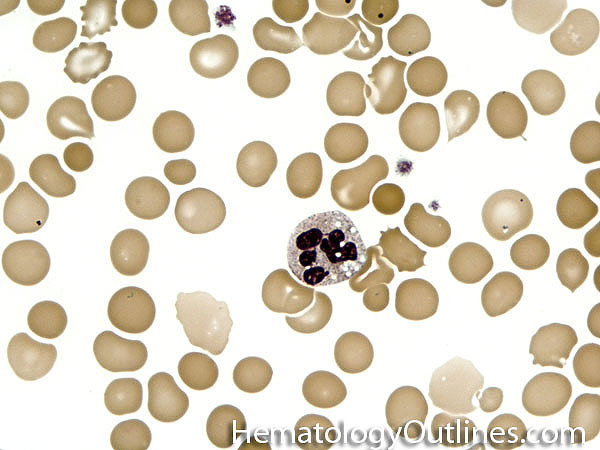 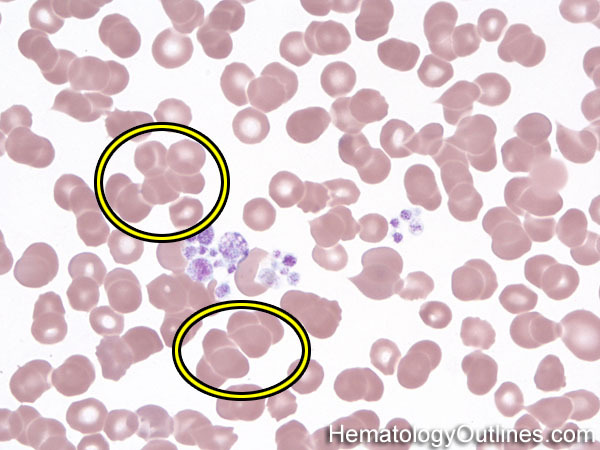 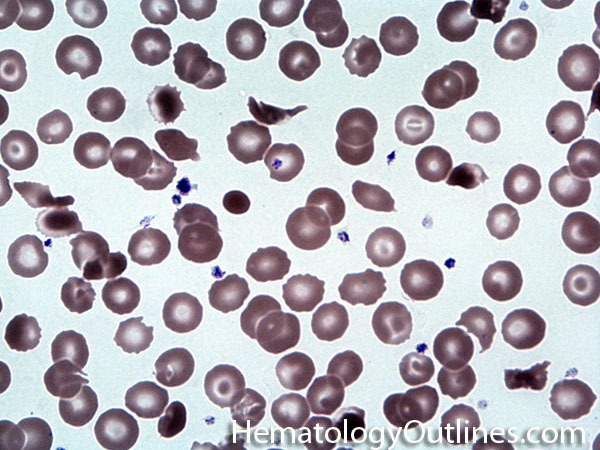 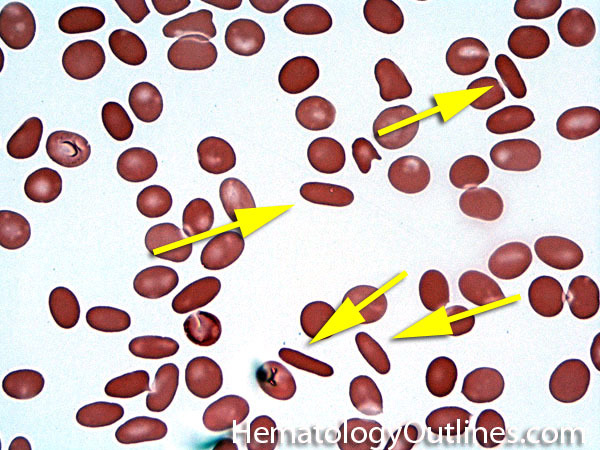 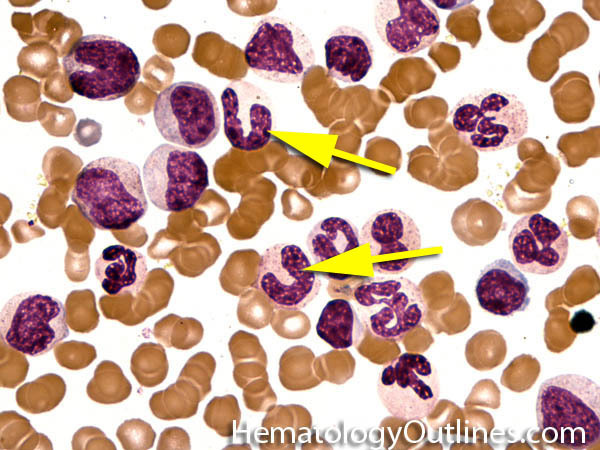 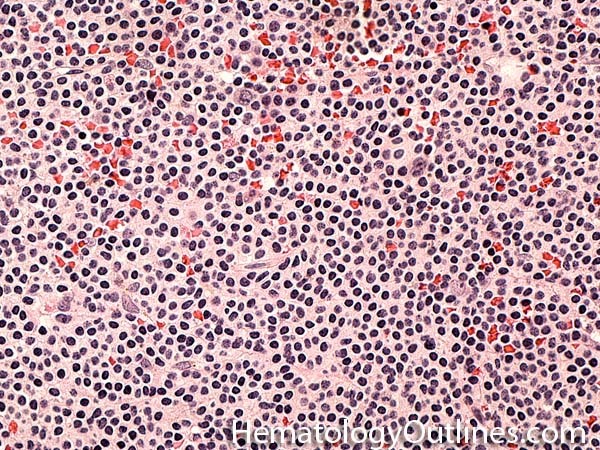 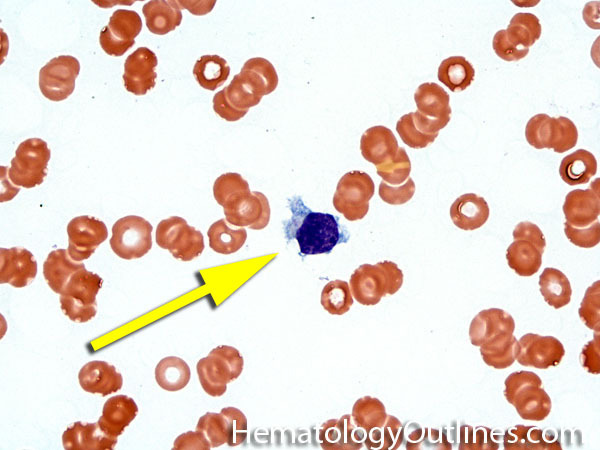 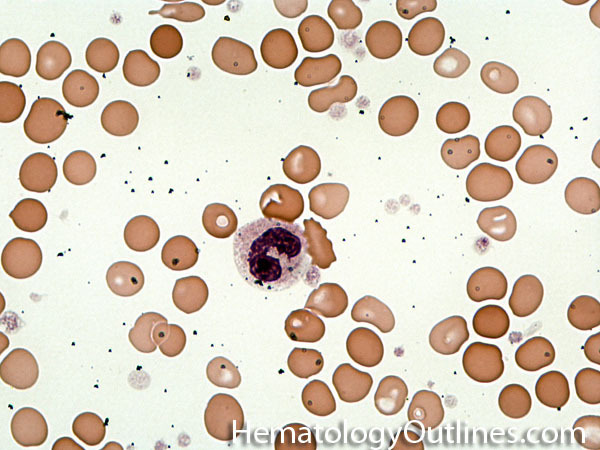 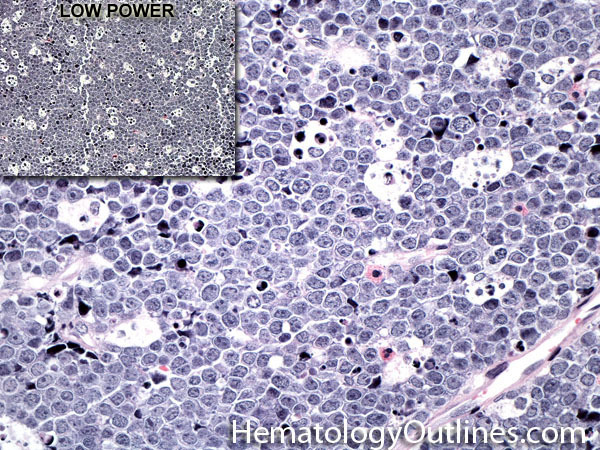 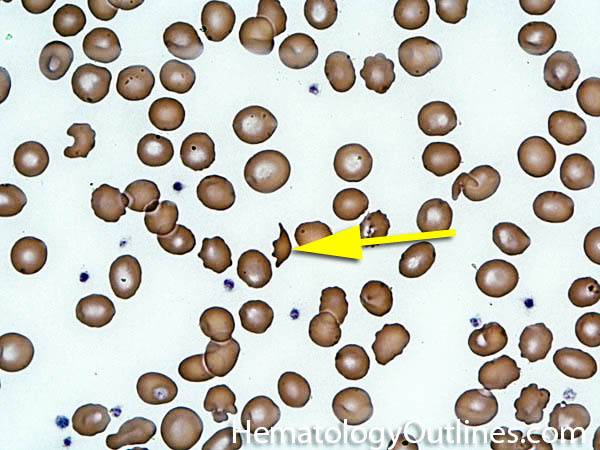 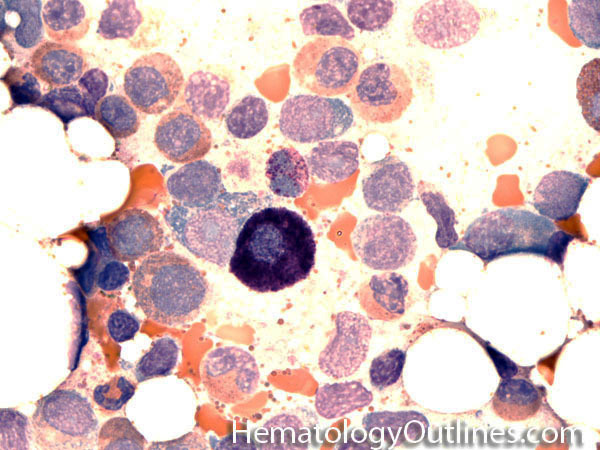 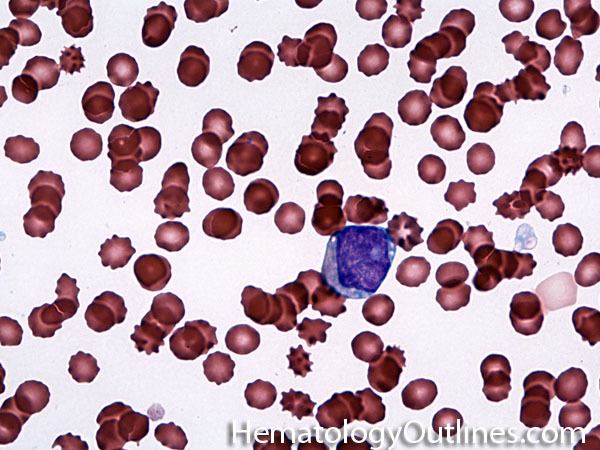 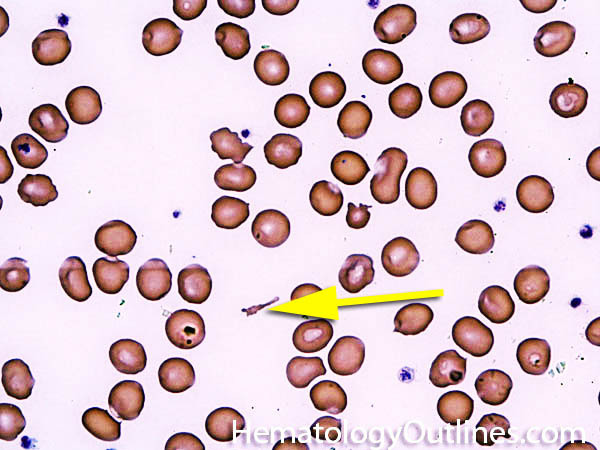 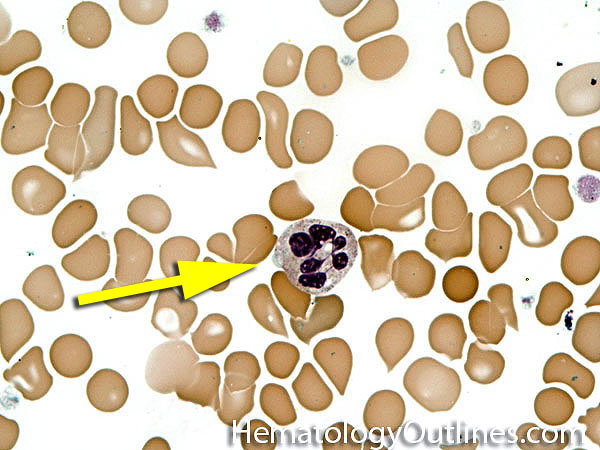 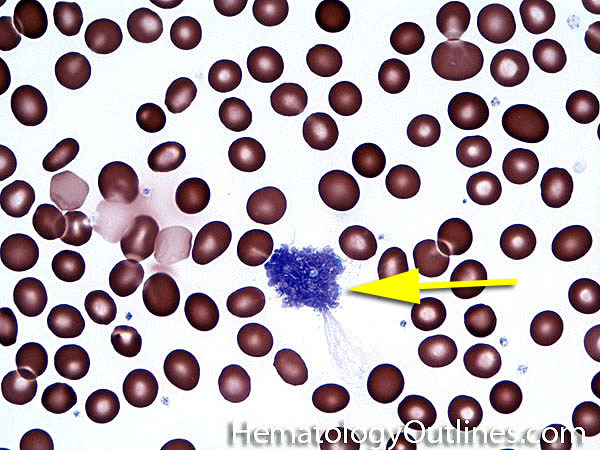 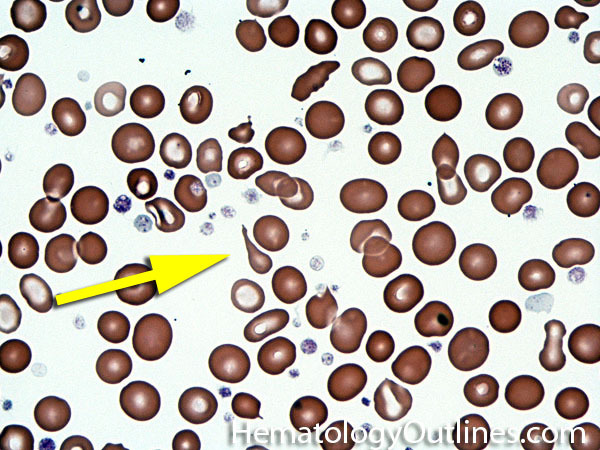 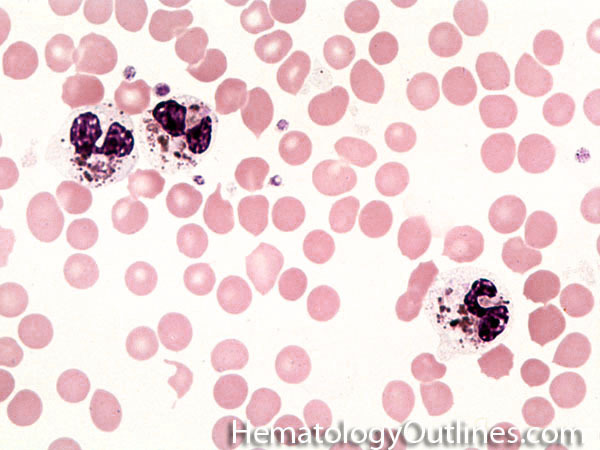 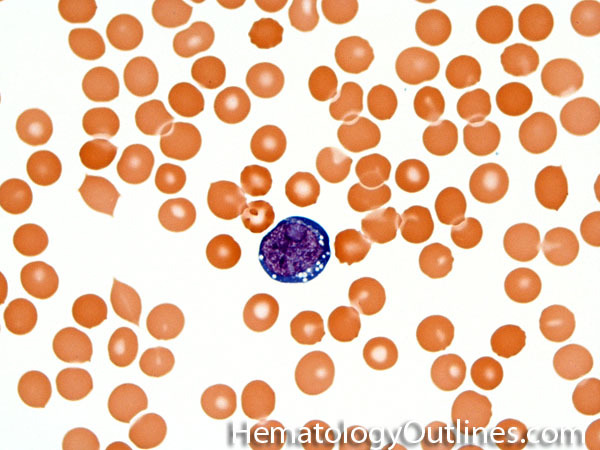 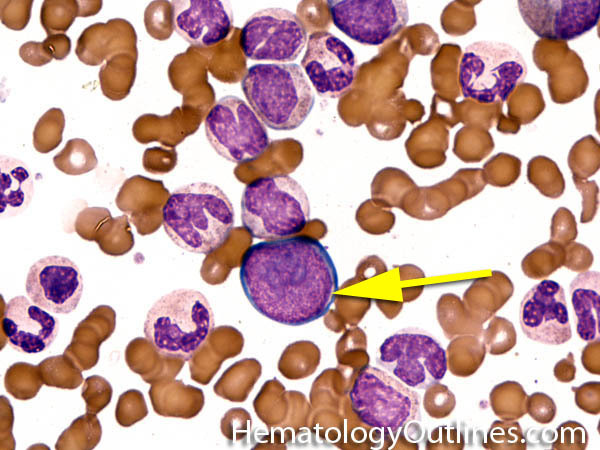 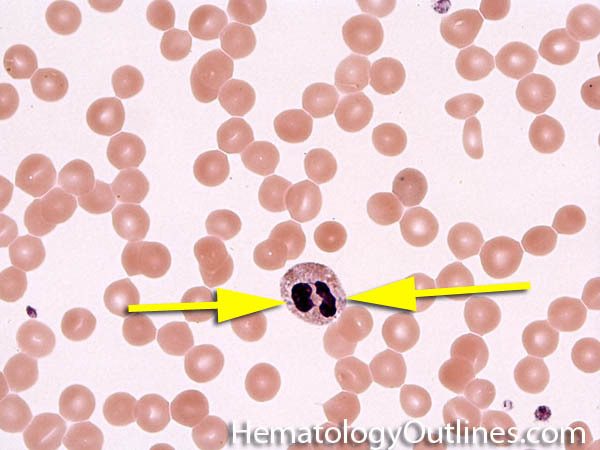 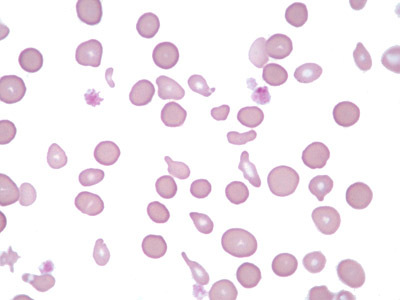 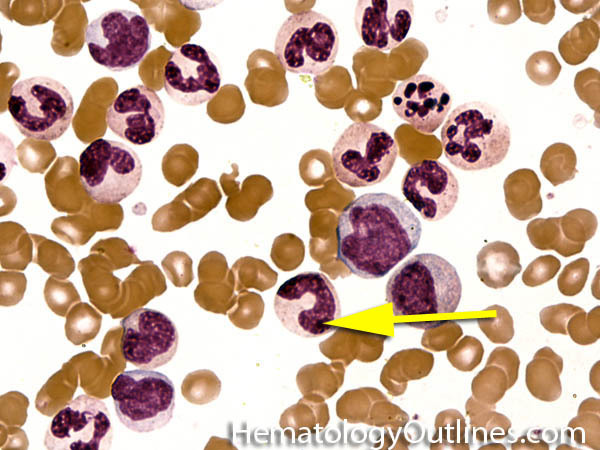 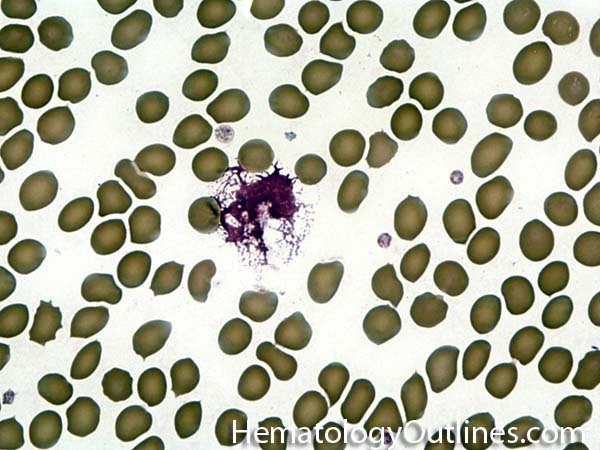 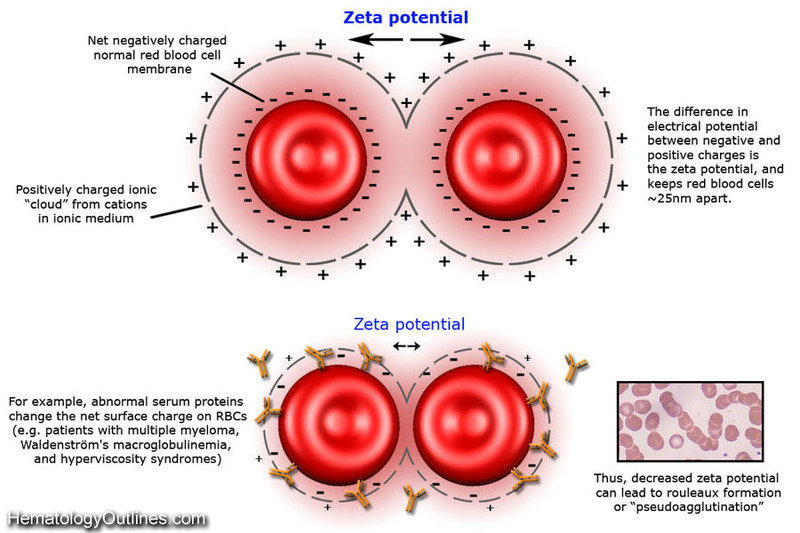 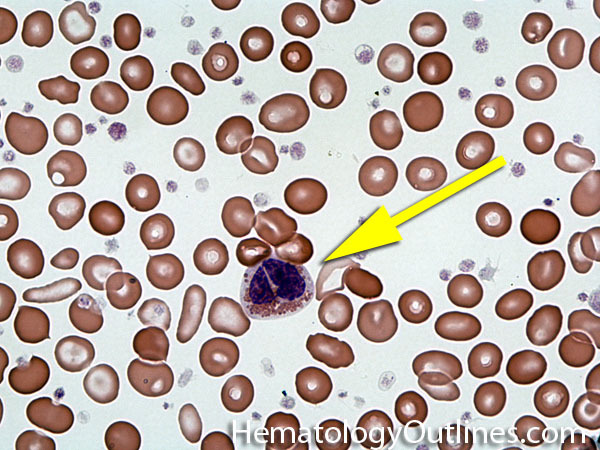 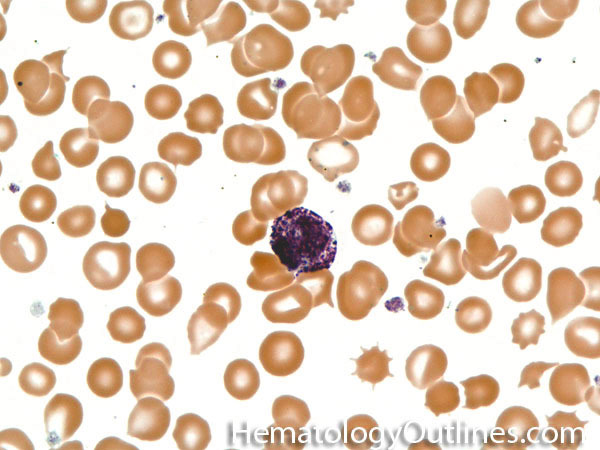 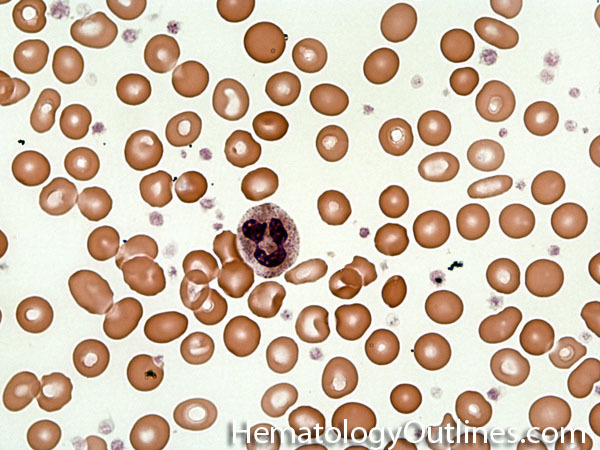 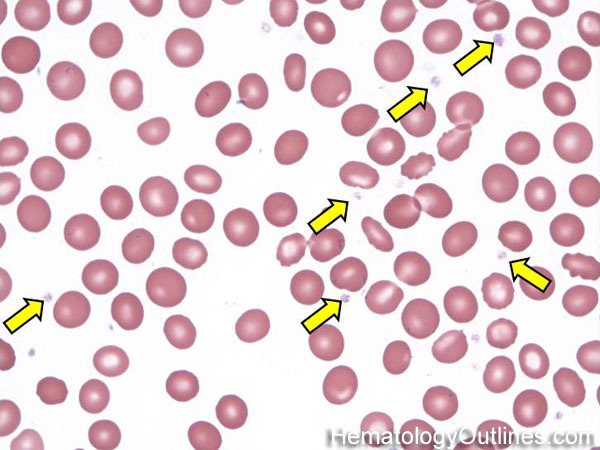 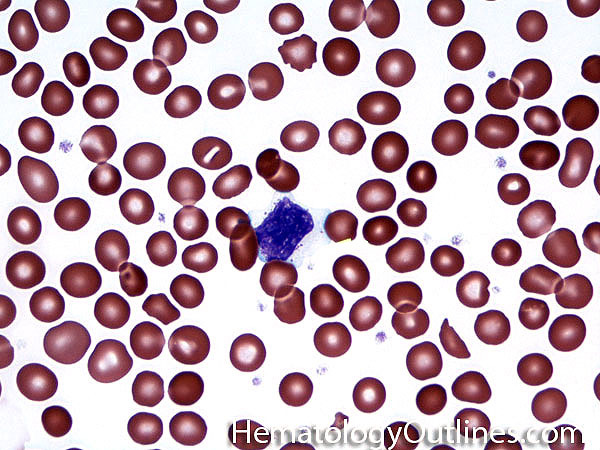 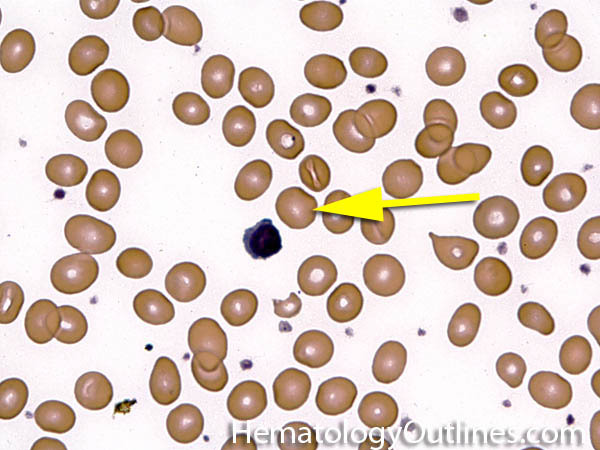 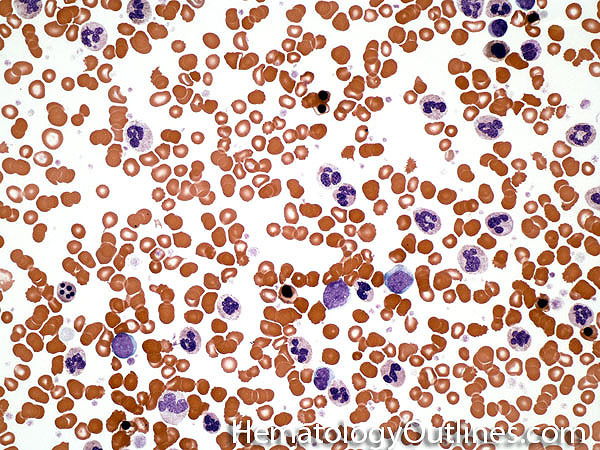 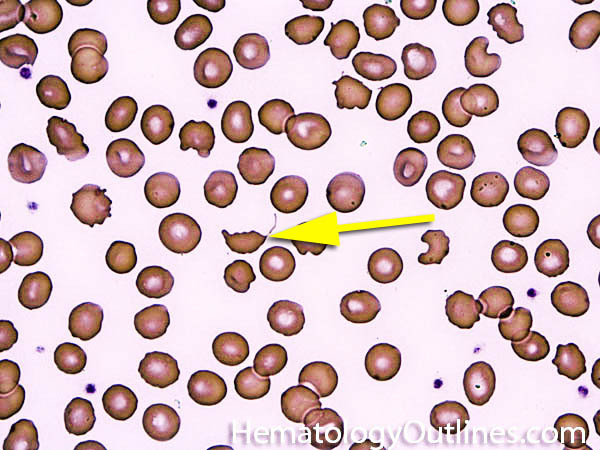 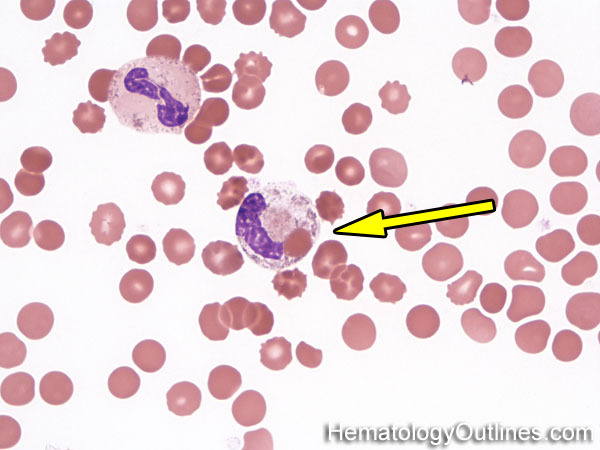 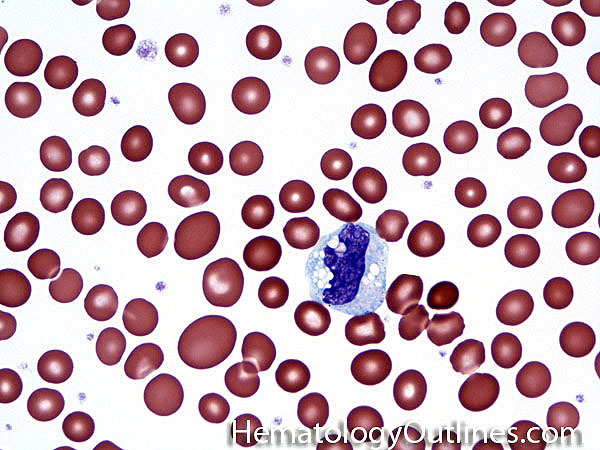 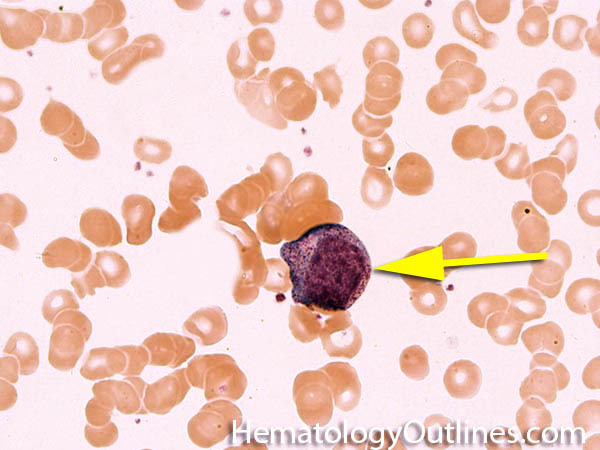 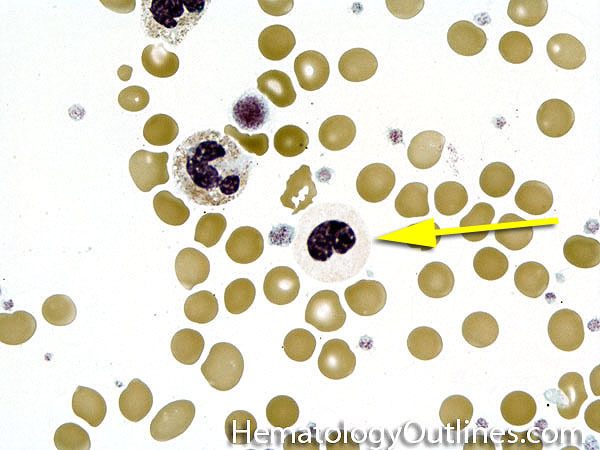 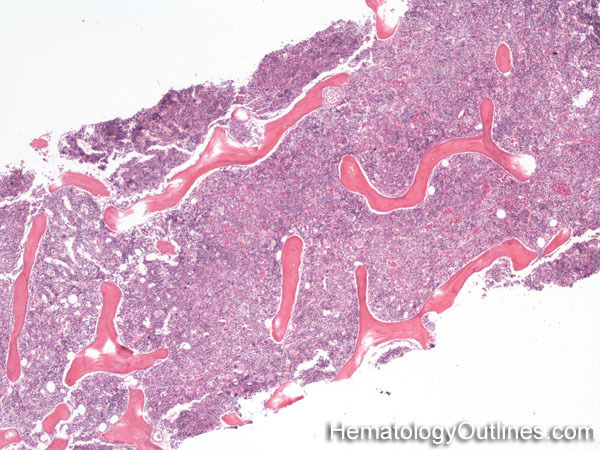 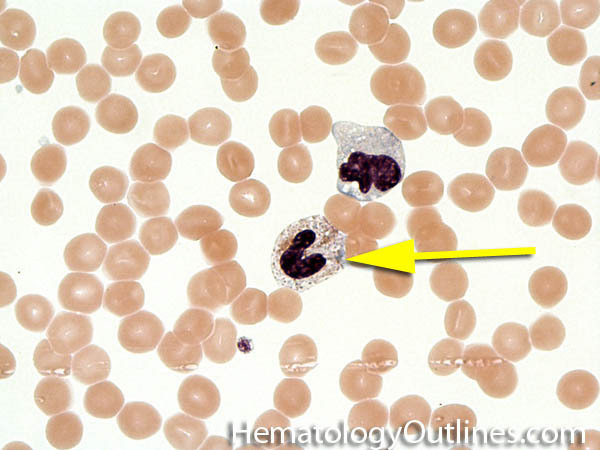 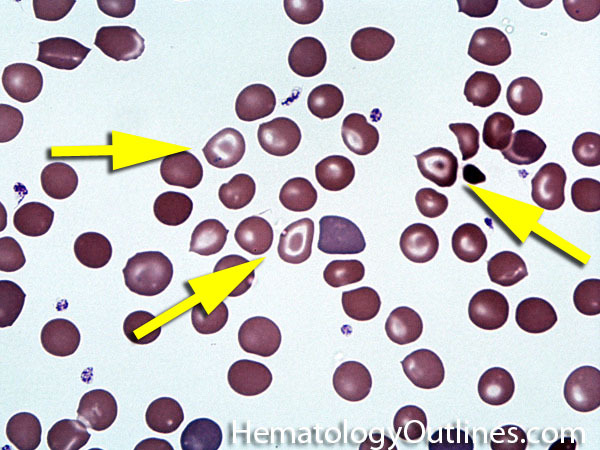 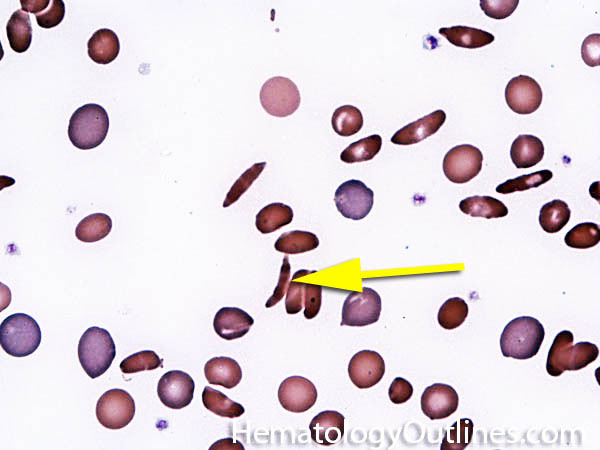 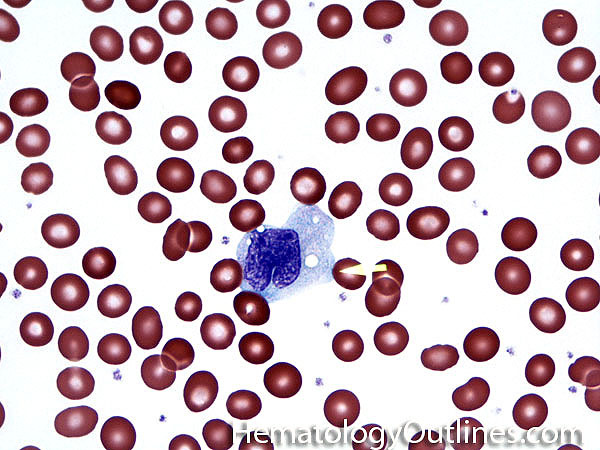 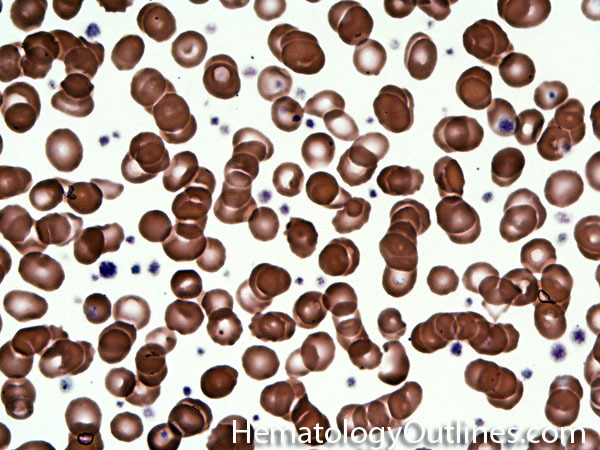 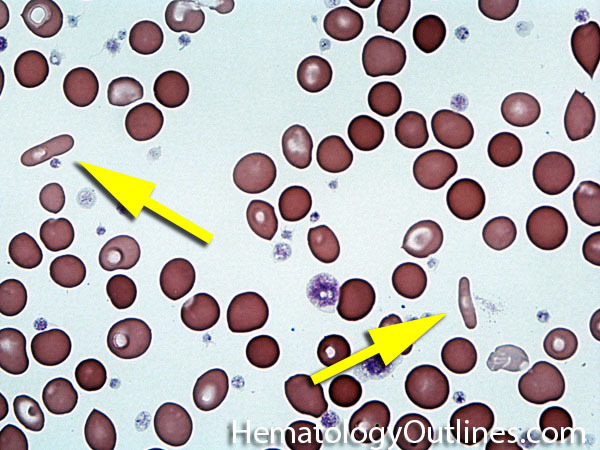 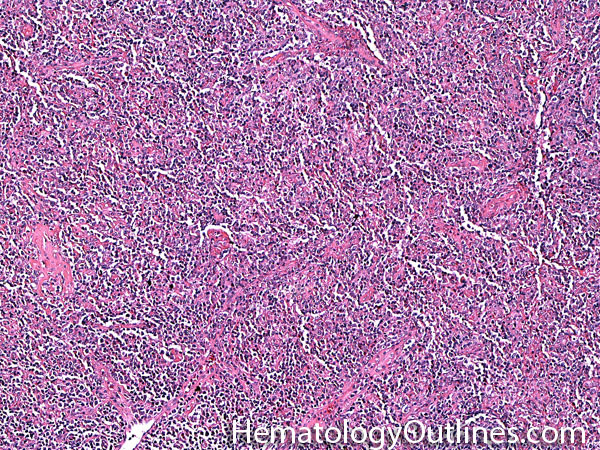 It is usually negative in early hematogones and normal plasma cells. 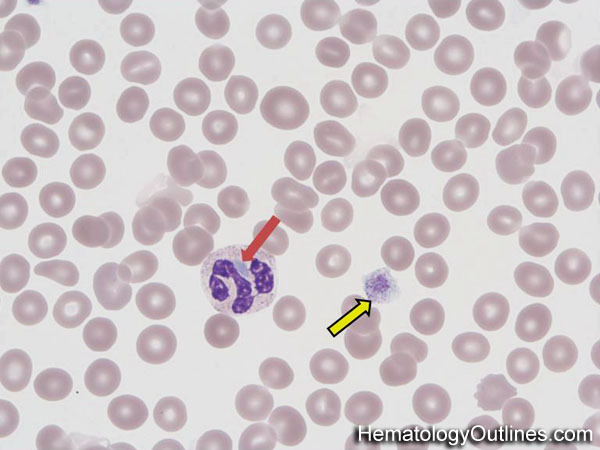 Recall the CD_Mnemonic, "B" for "B-cells" & "Bigger" CDs (CD19, 20, 21, 22, 23, 24) which are typicaly expressed in "B-cells". 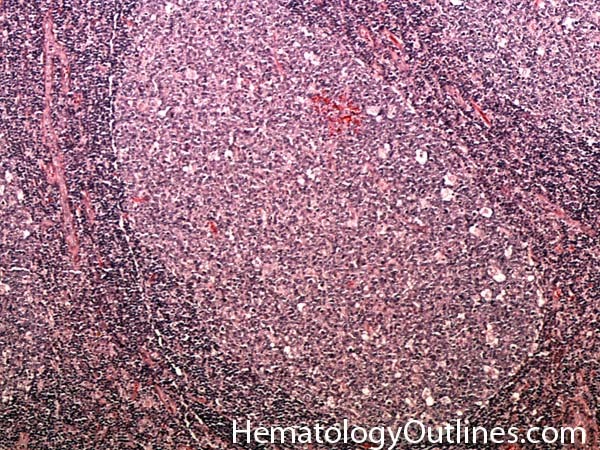 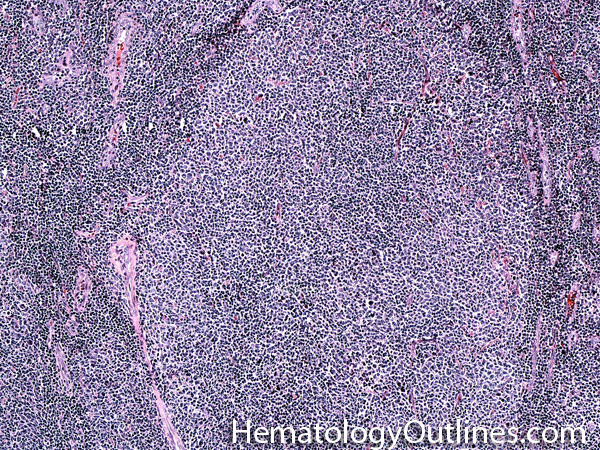 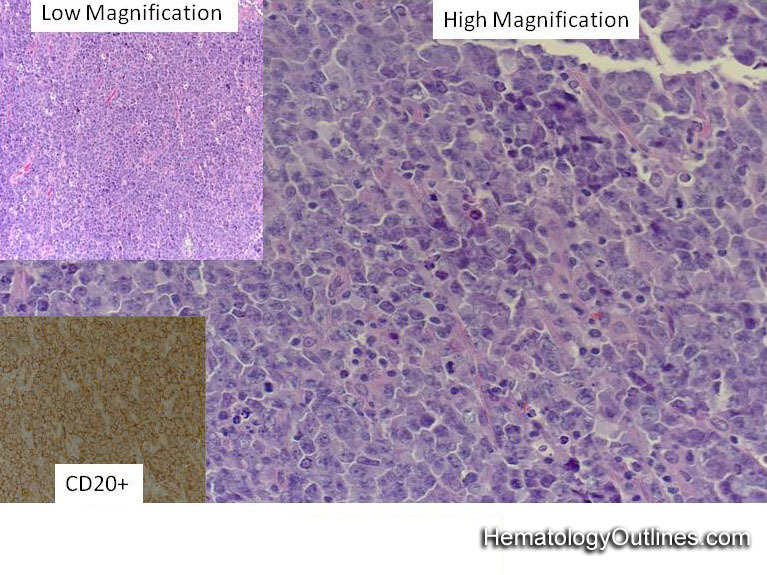 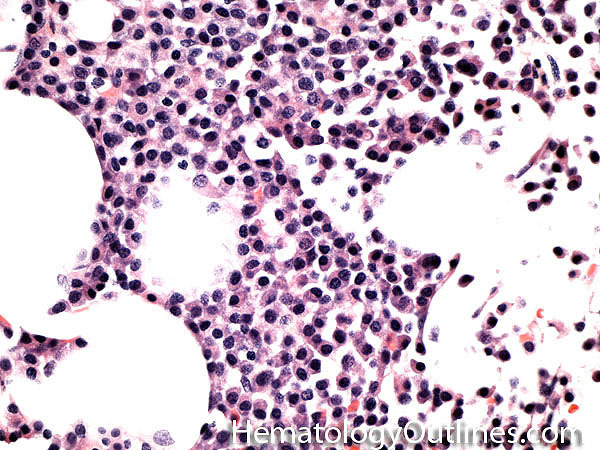 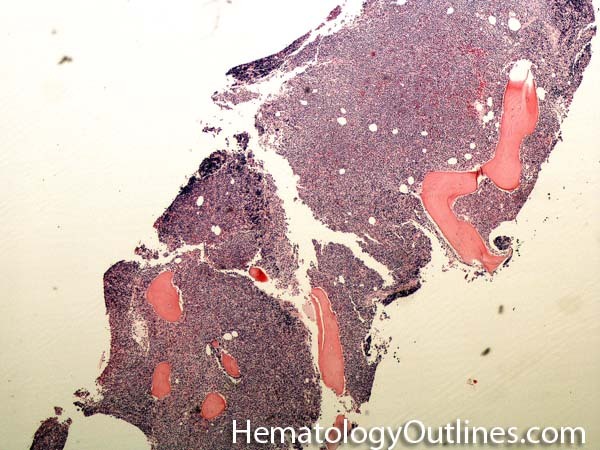 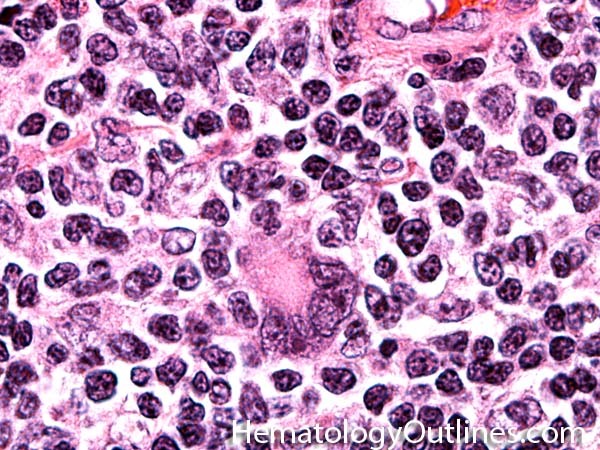 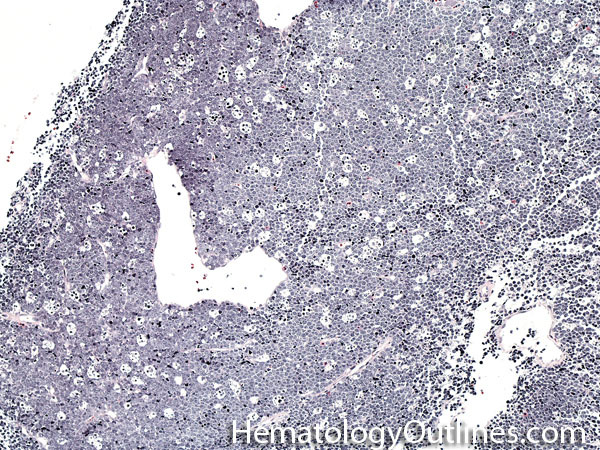 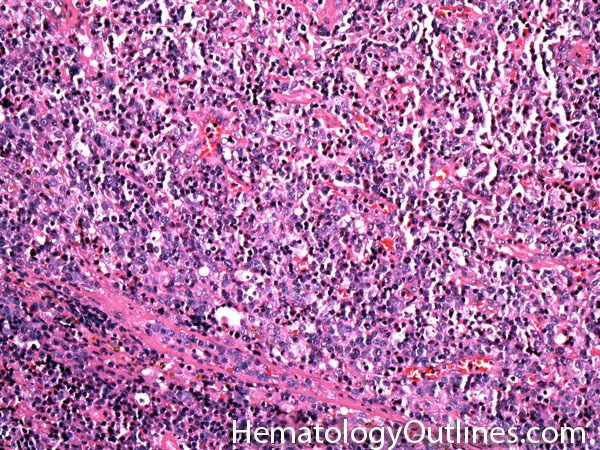 Most mature B-cell Lymphoma/leukemias are CD20 positive. 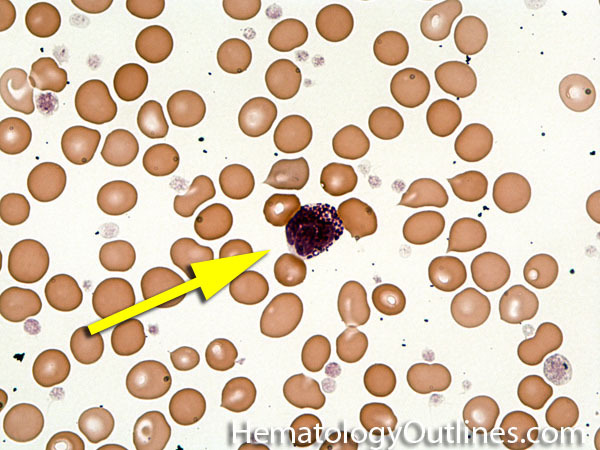 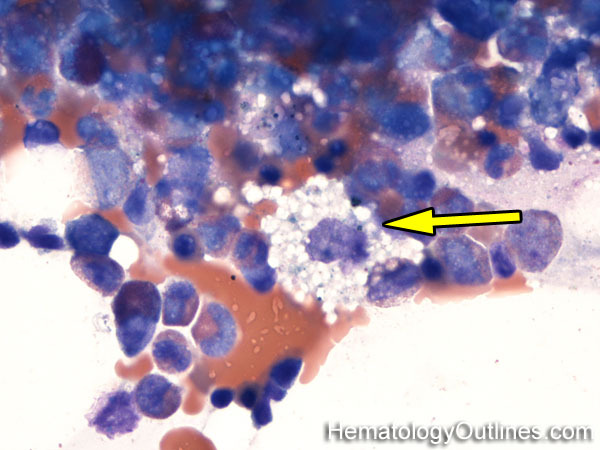 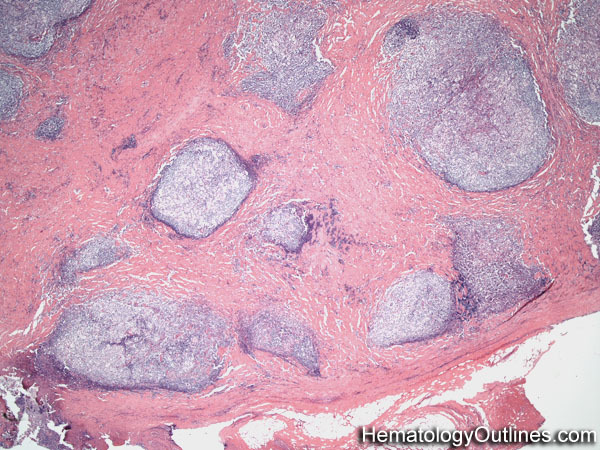 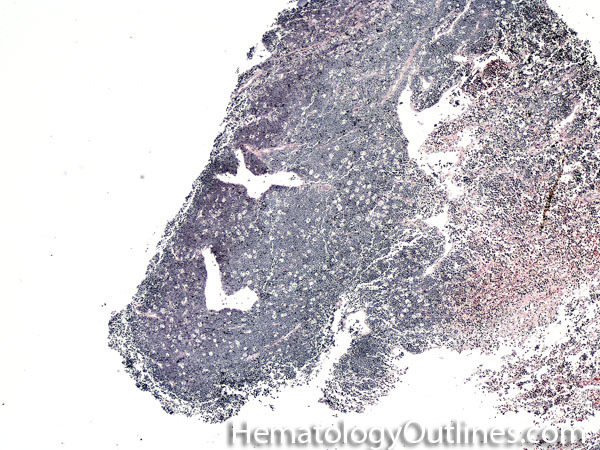 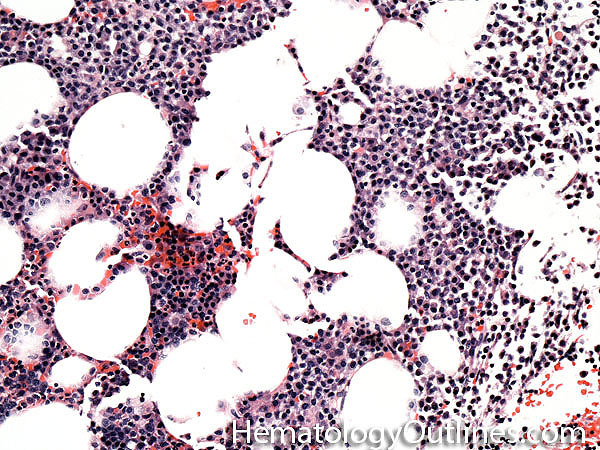 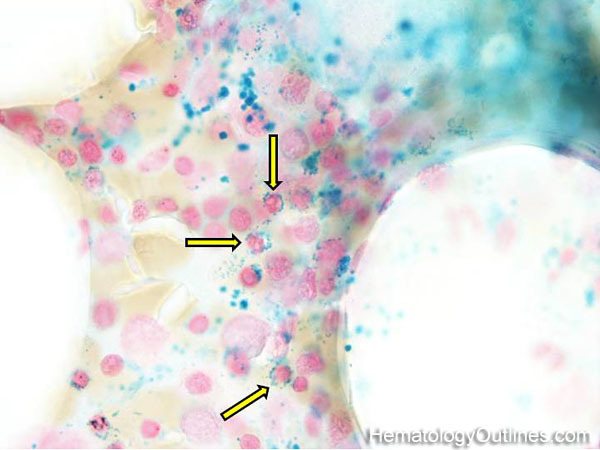 CD20 is typically negative in most plasma cell neoplasms (e.g. 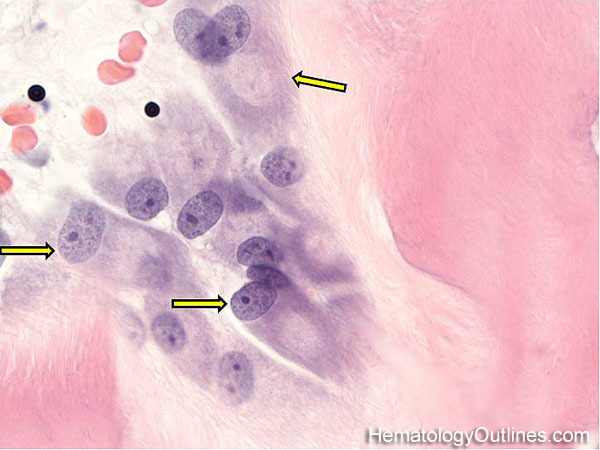 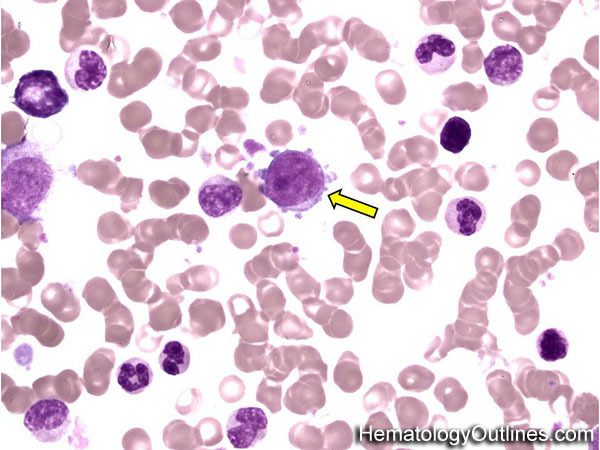 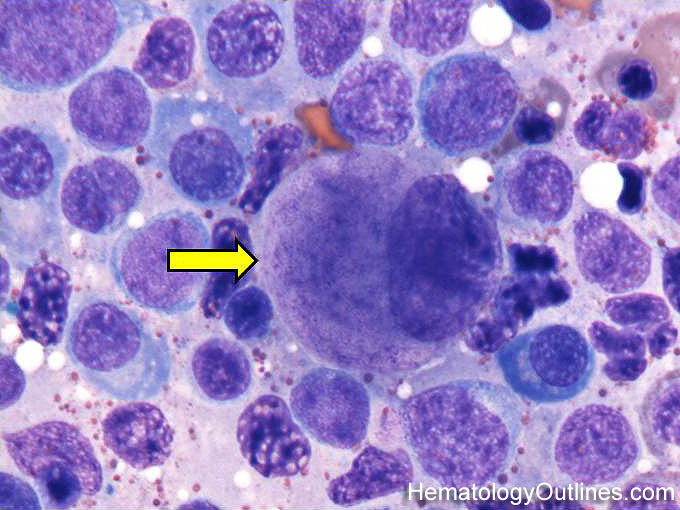 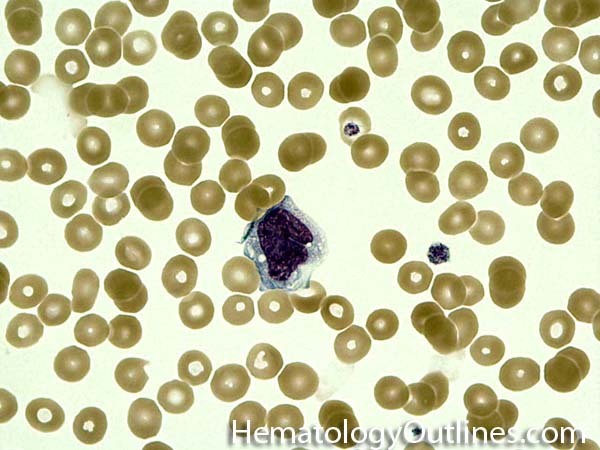 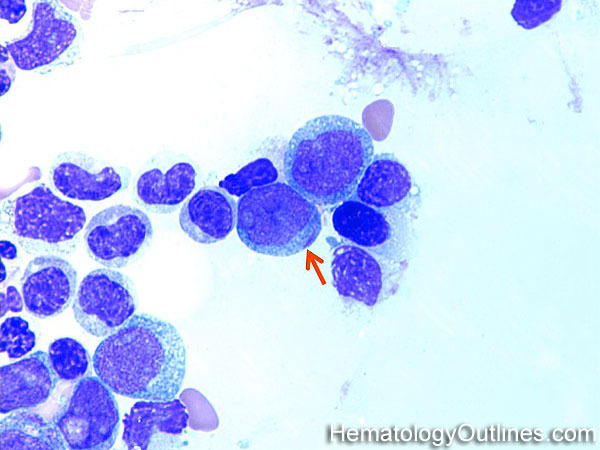 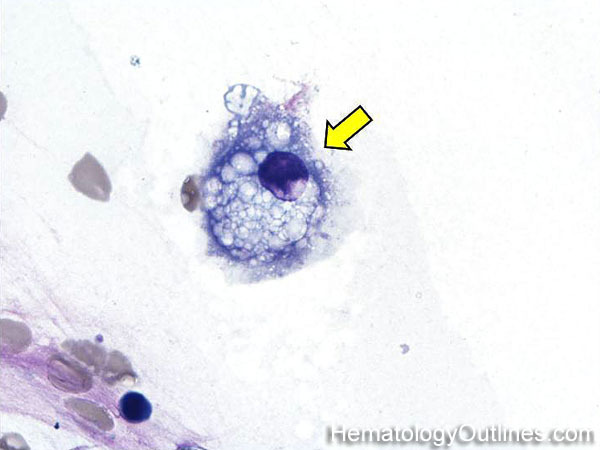 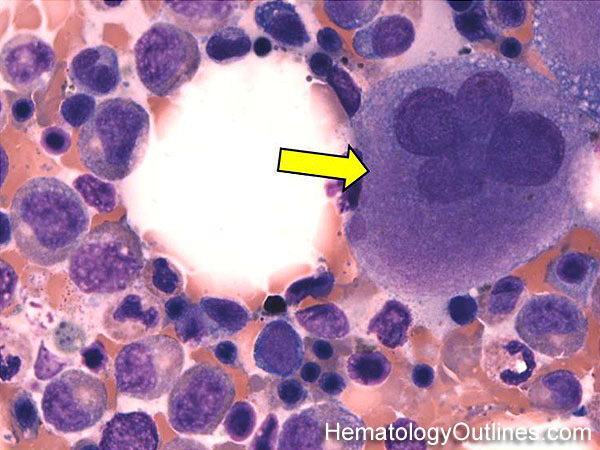 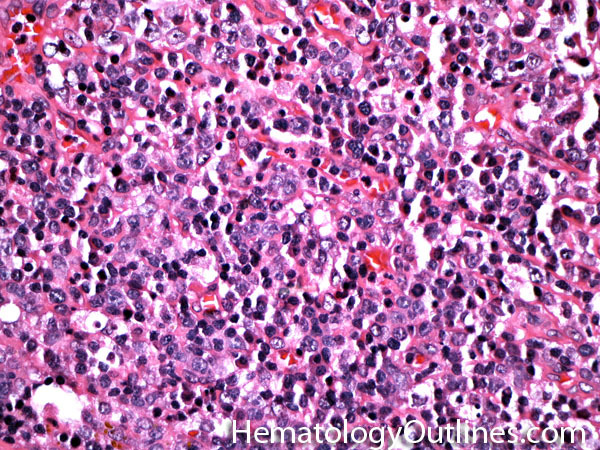 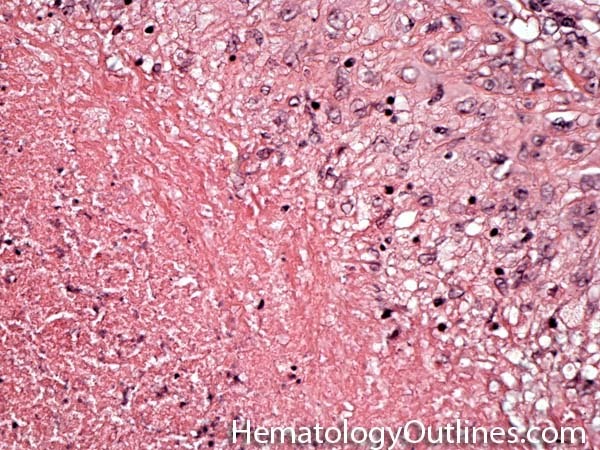 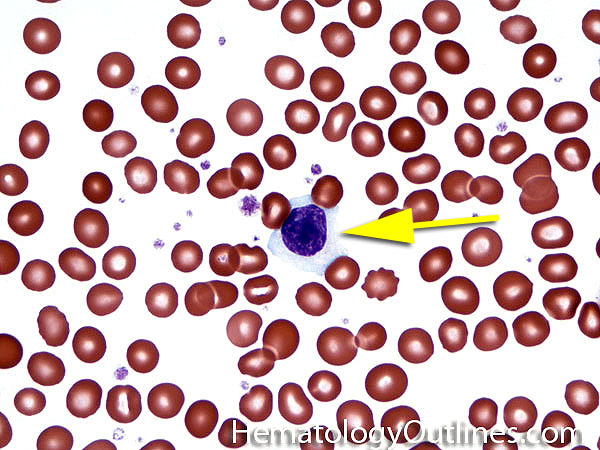 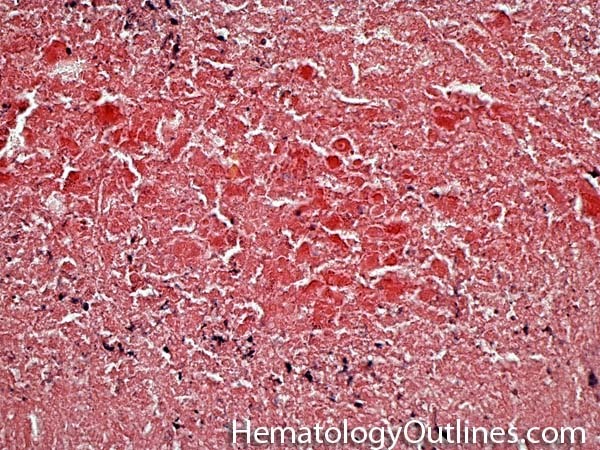 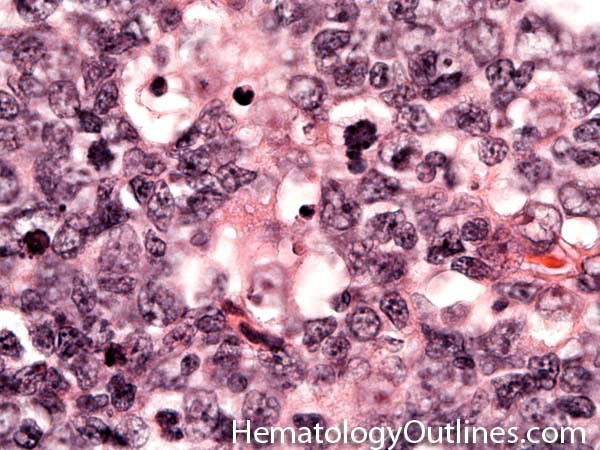 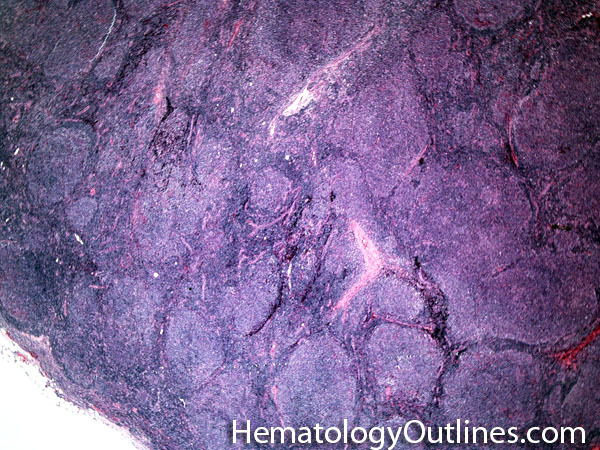 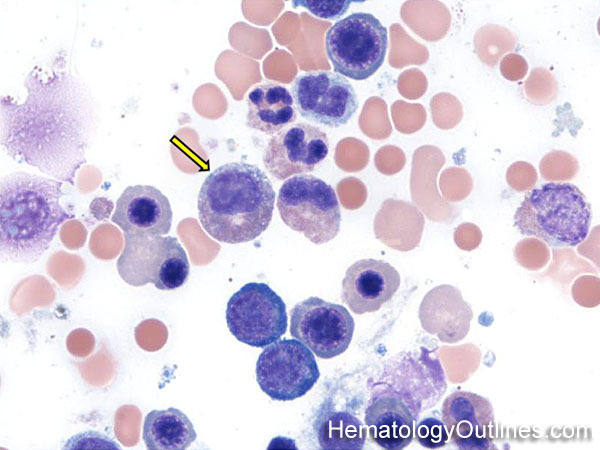 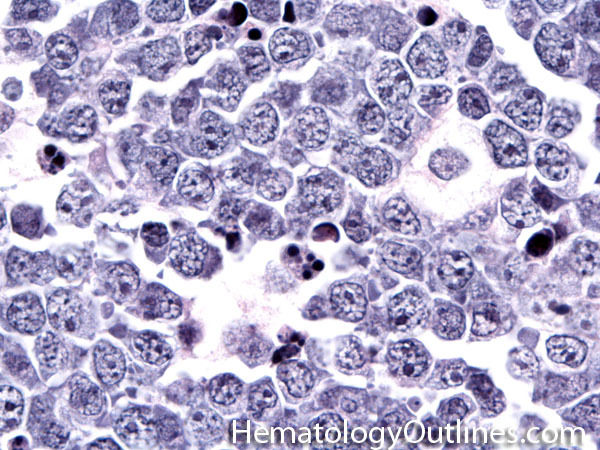 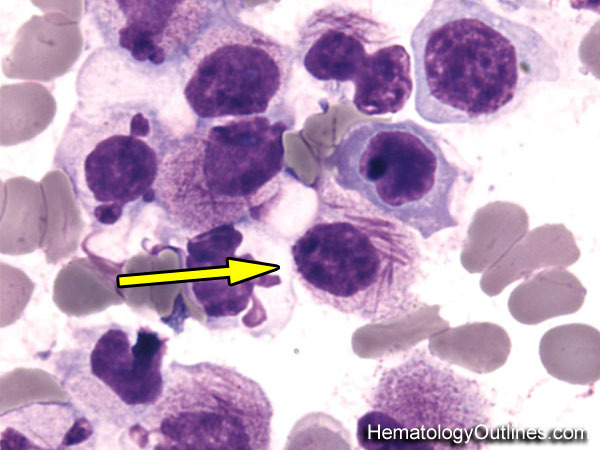 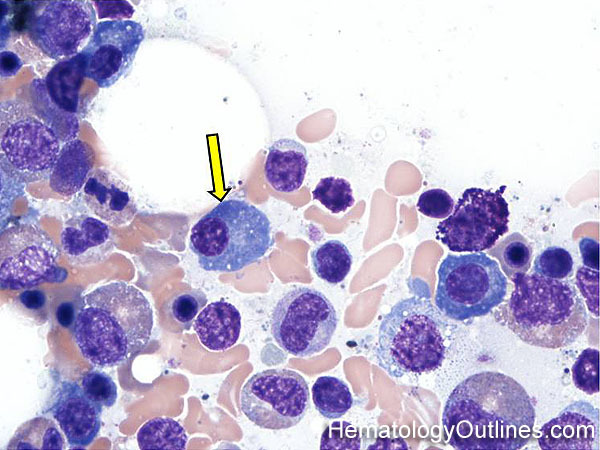 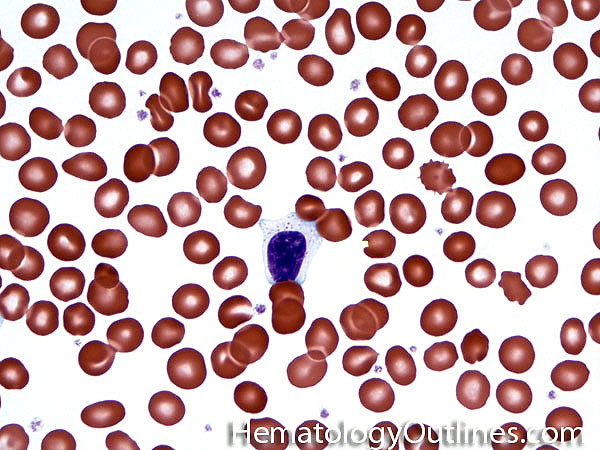 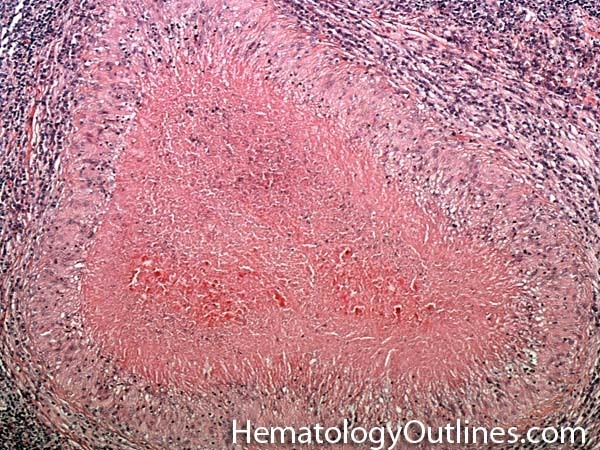 plasma cell myeloma). 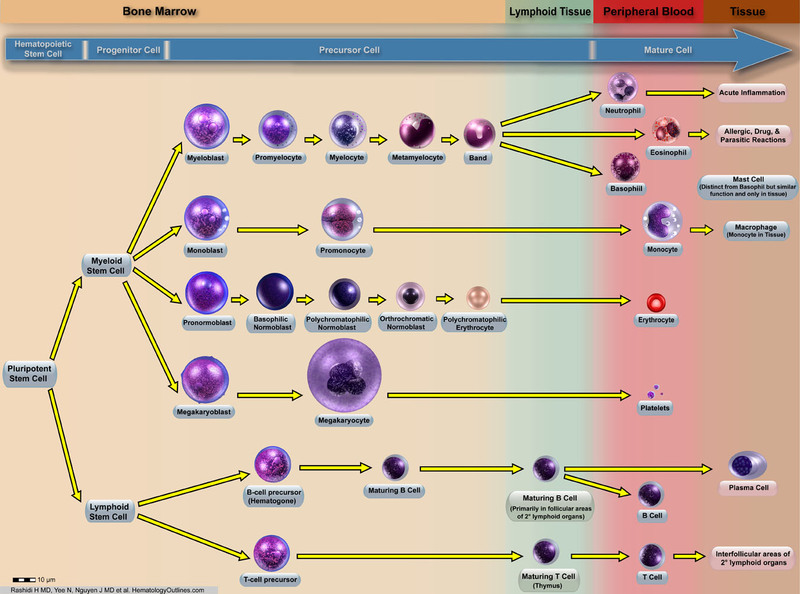 CD20 expression on lymphomas is also very important clinically since there is an Anti-CD20 drug (Rituximab) that is typically used as part of the treatment of these lymphomas. 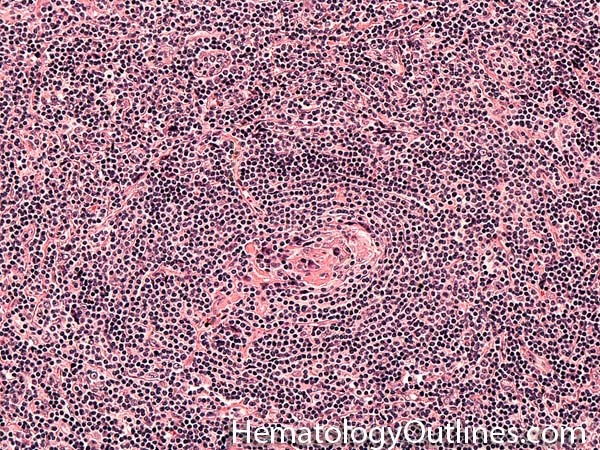 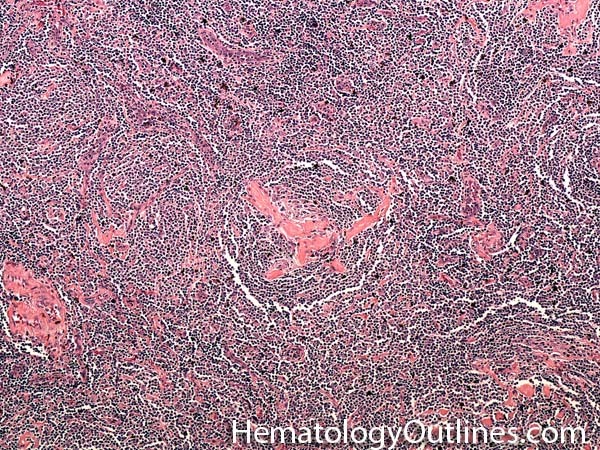 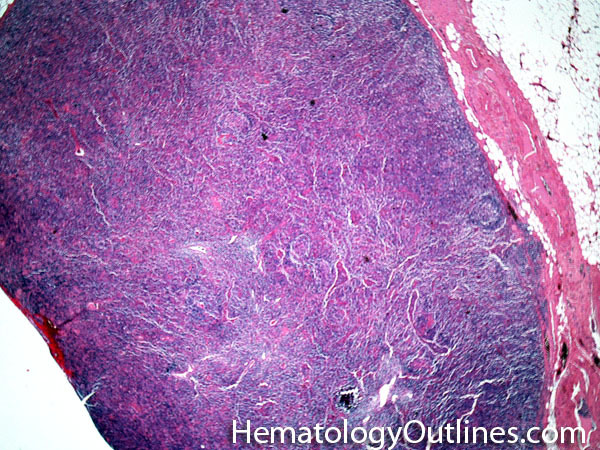 MGUS Monoclonal Gammopathy of Uncertain Significance are part of plasma cell neoplasms and thought to be precursors to plasma cel myeloma. 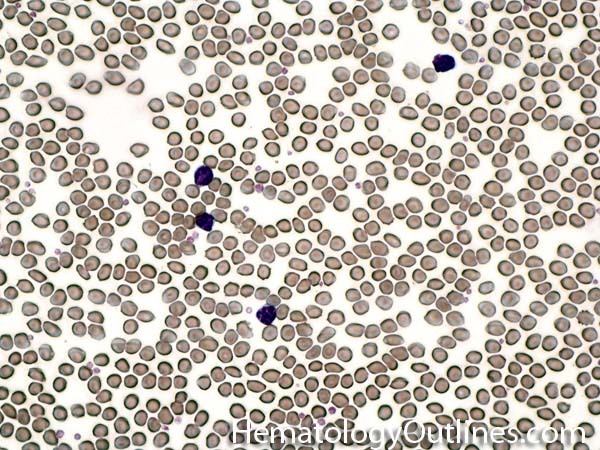 Similar to the other plasma cell neoplams, they typically display an M-spike on Serum Protein Electrophoresis and shown to be clonal by IFE.